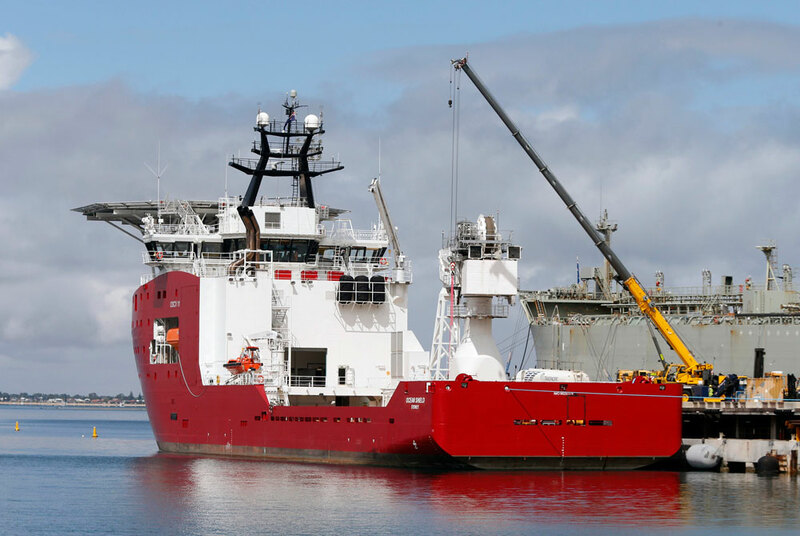 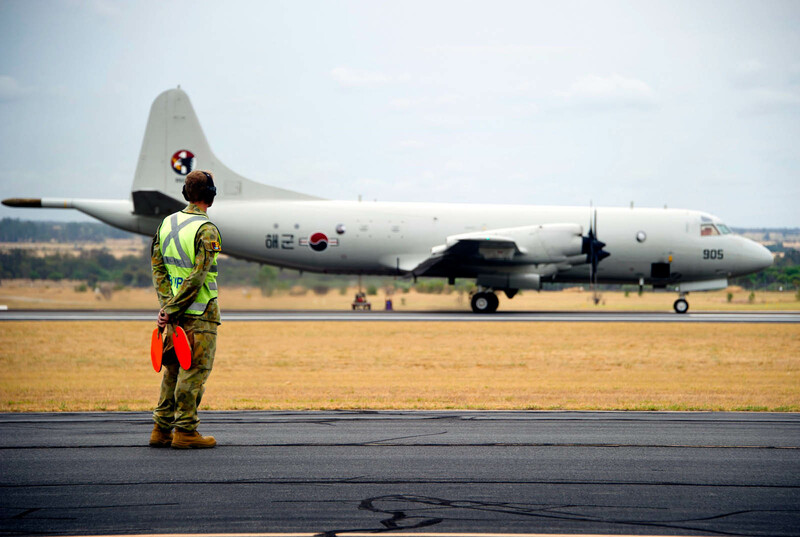 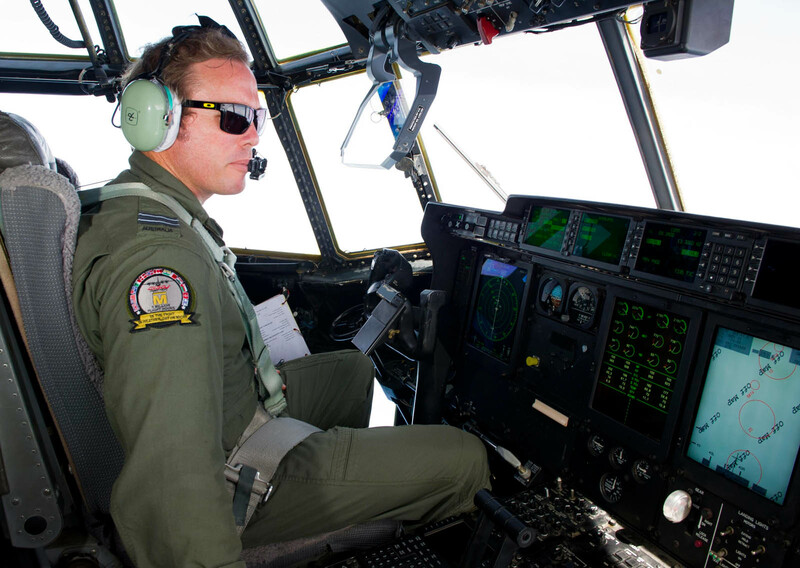 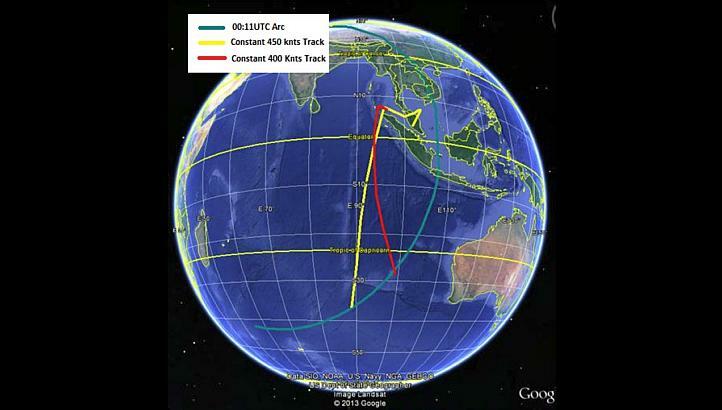 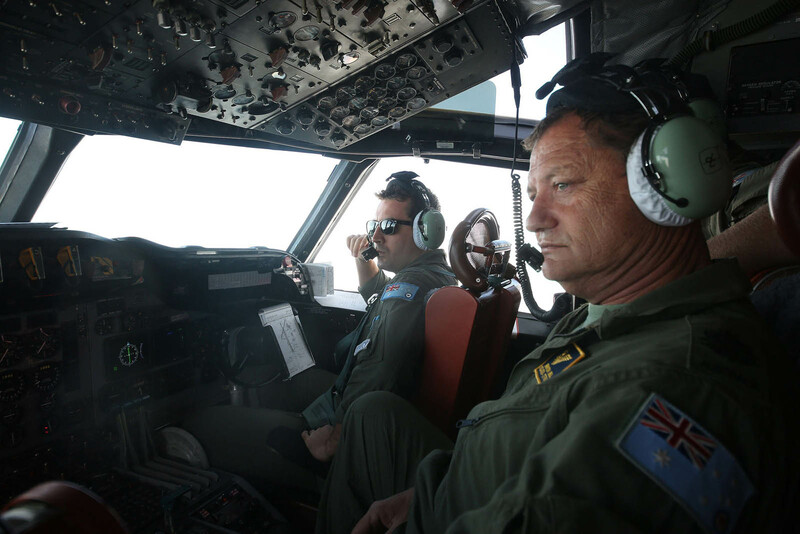 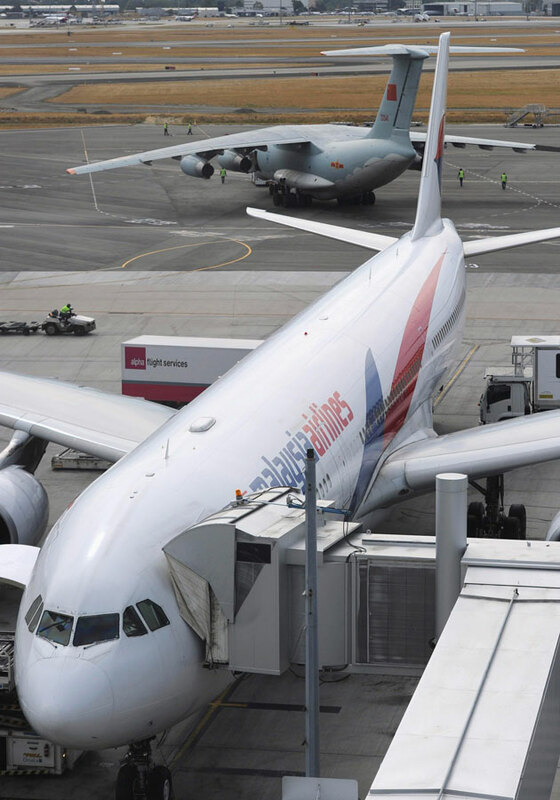 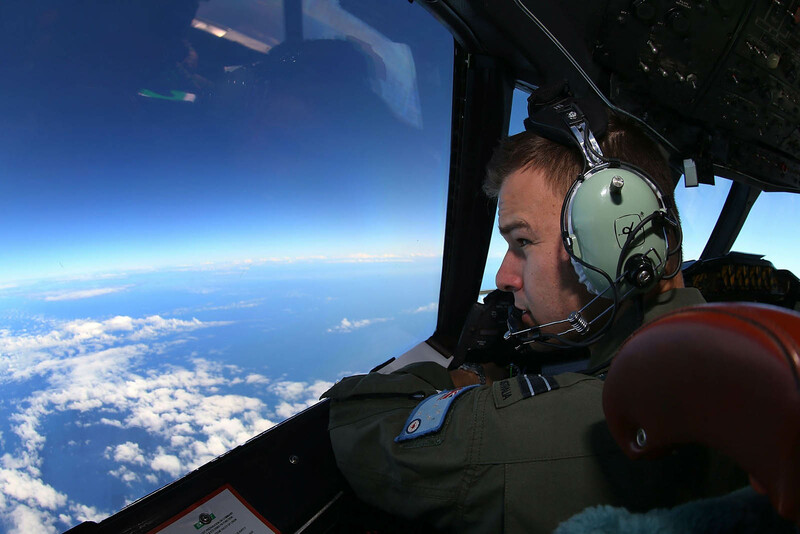 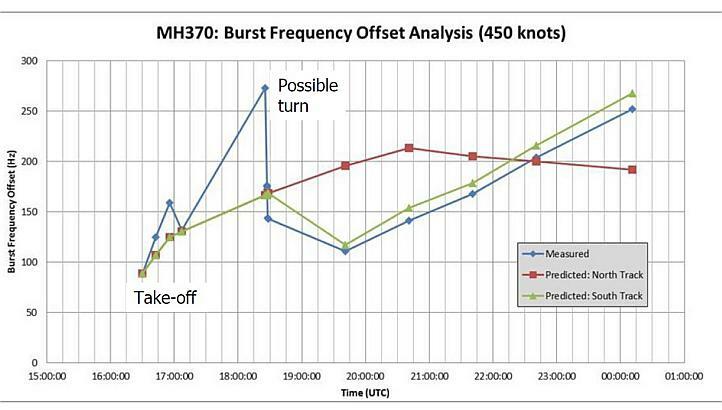 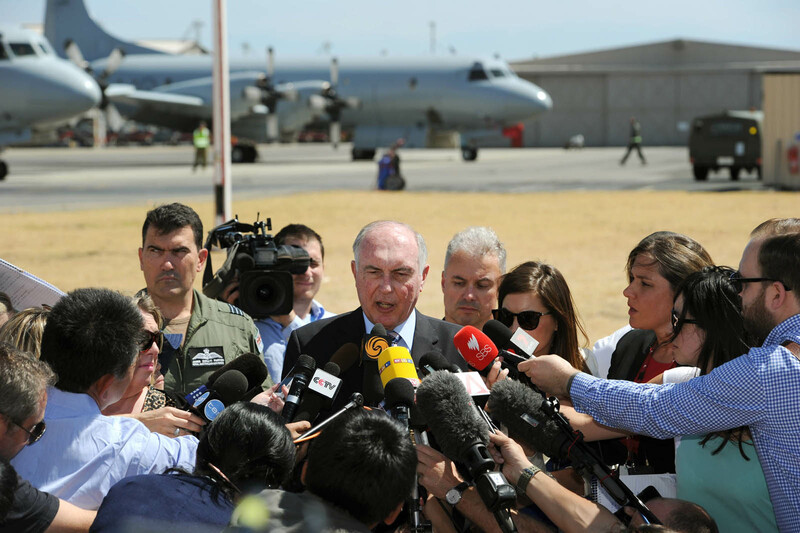 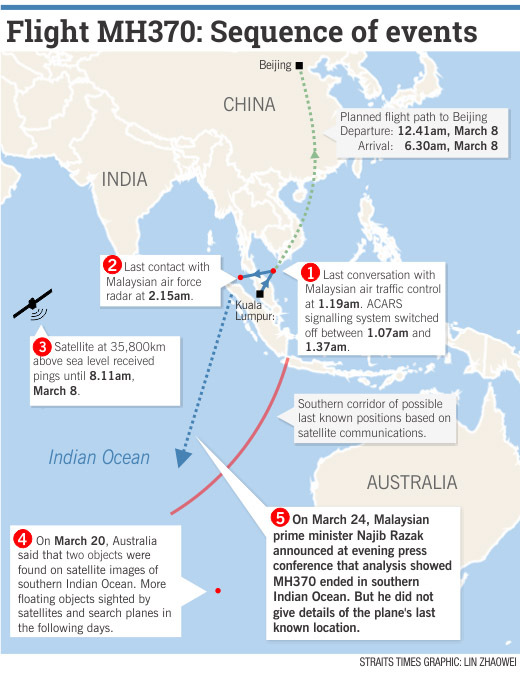 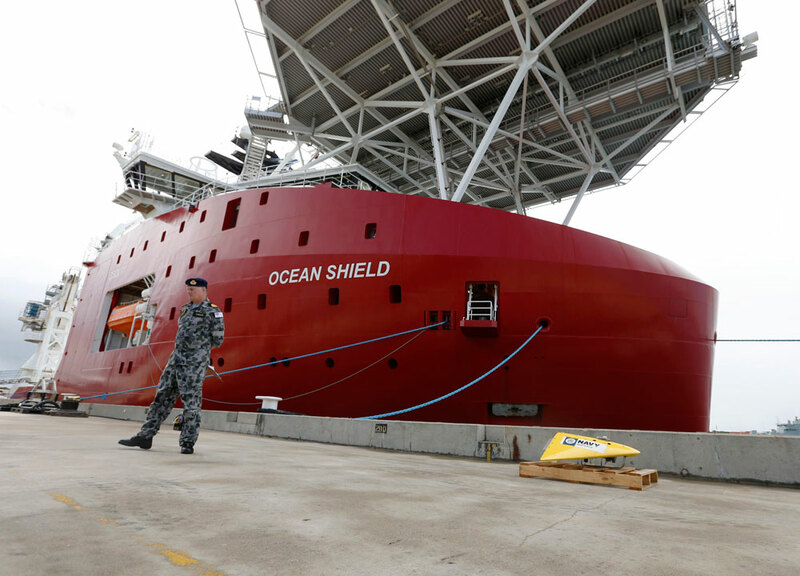 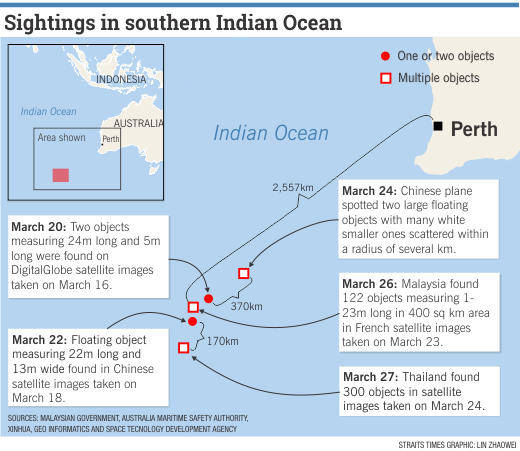 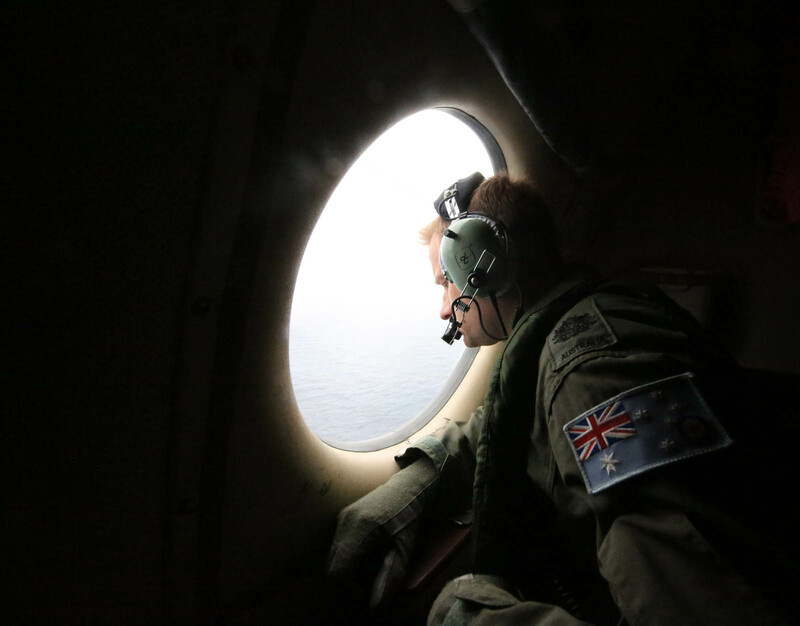 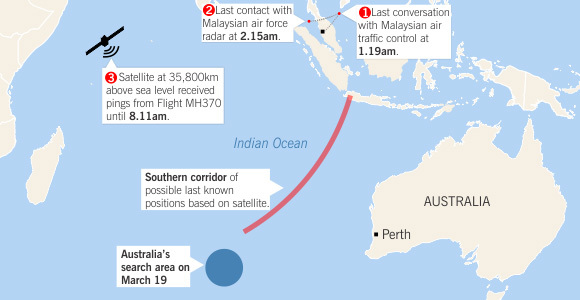 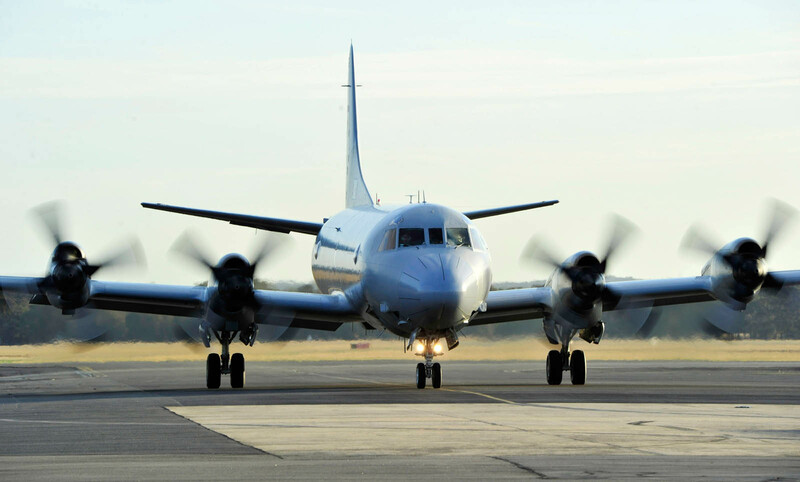 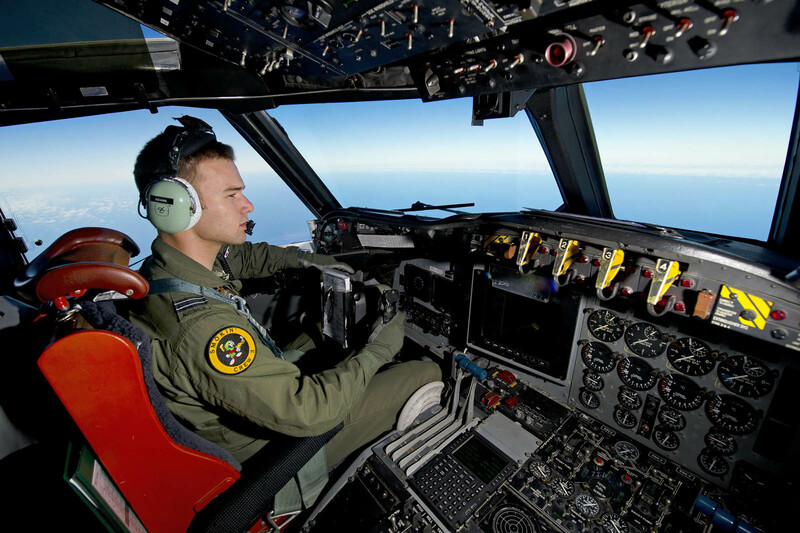 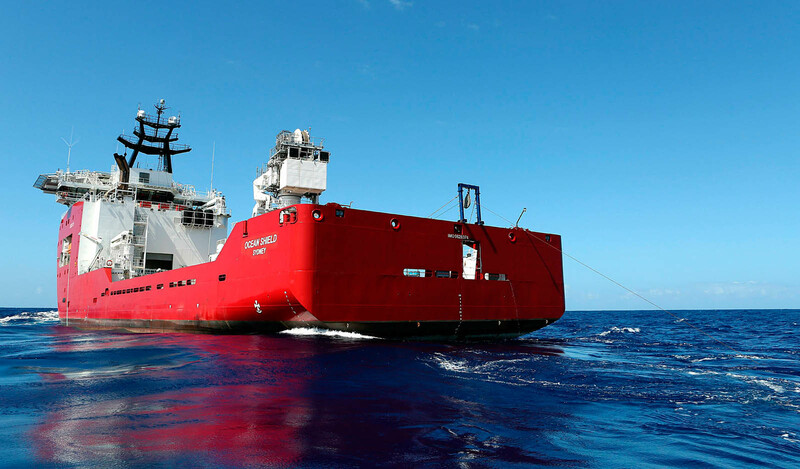 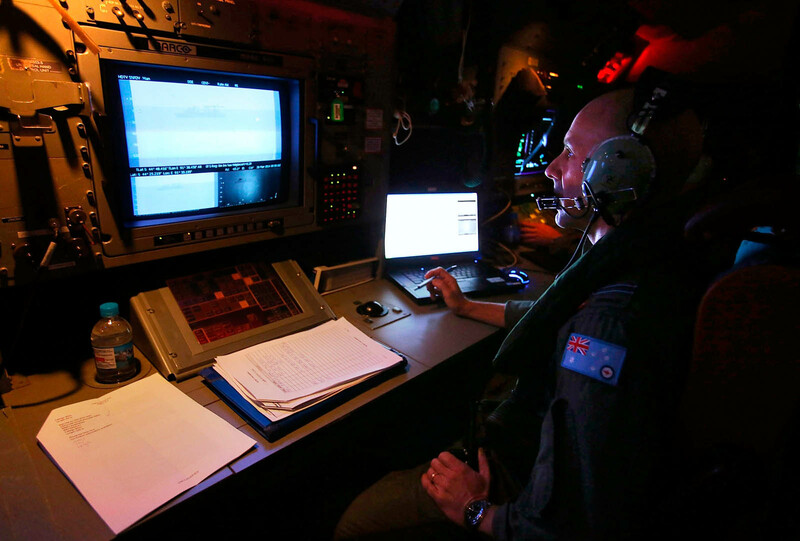 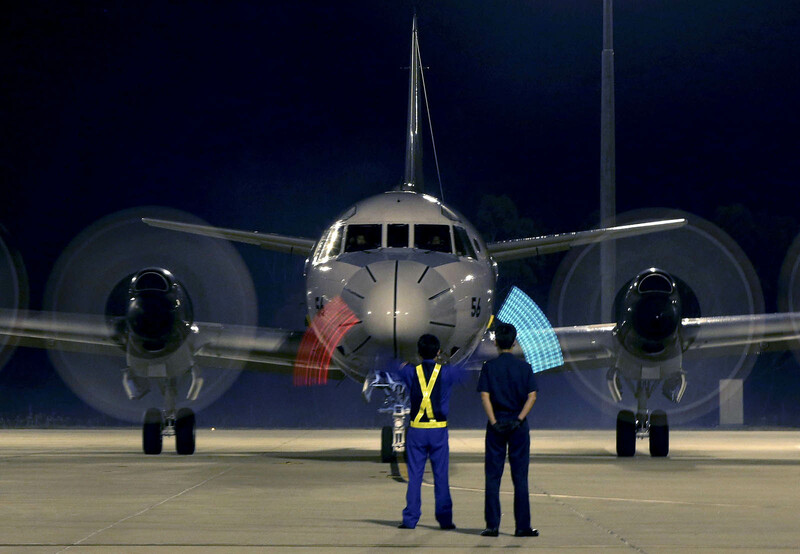 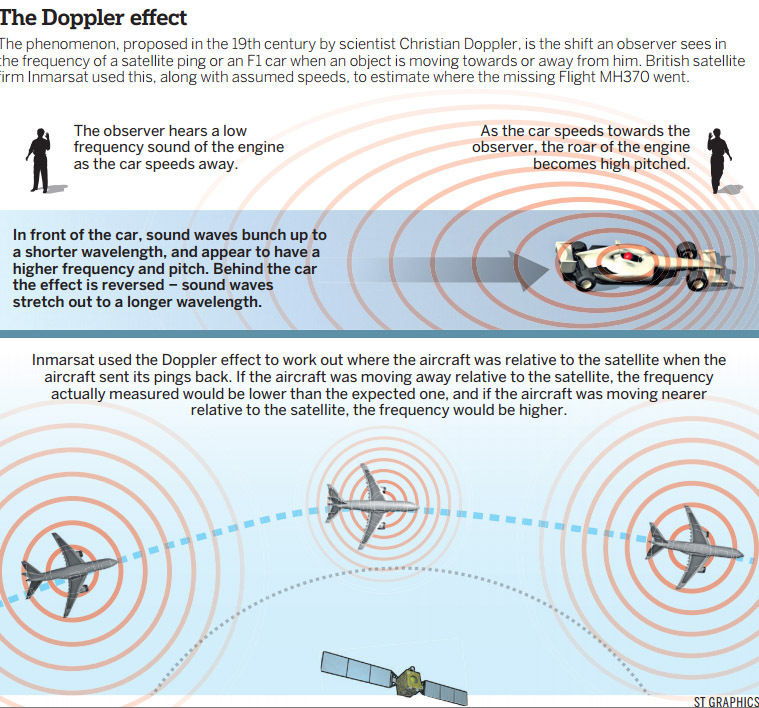 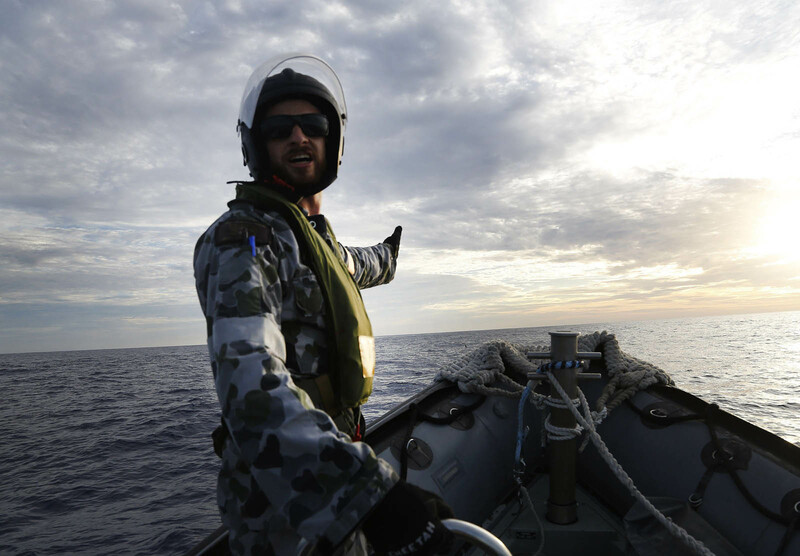 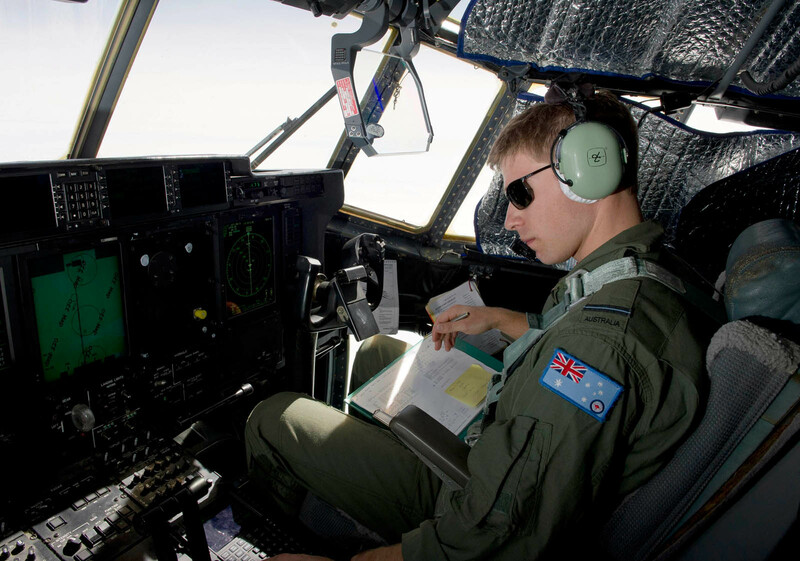 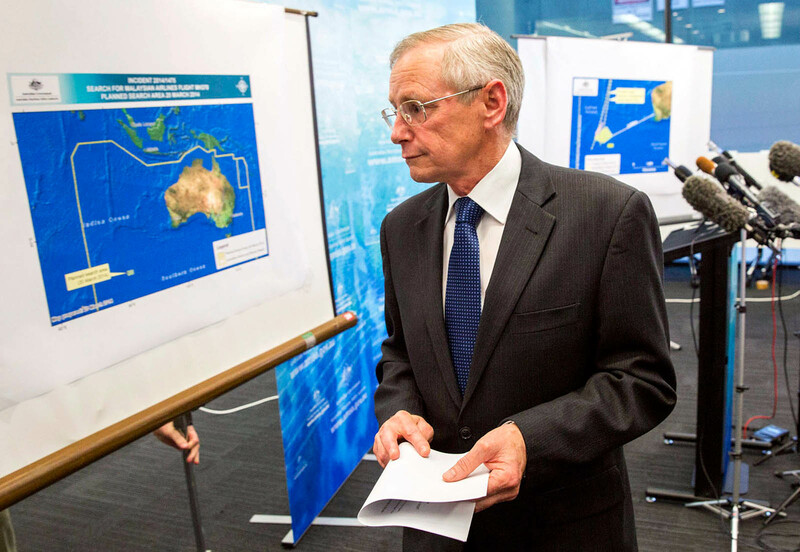 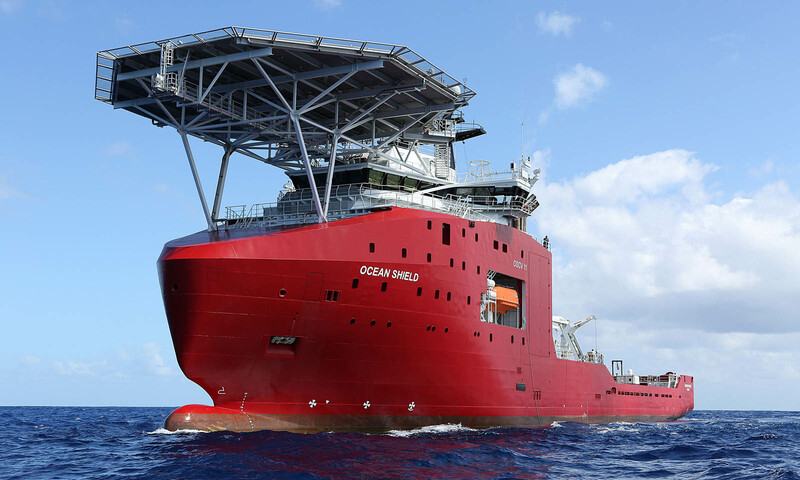 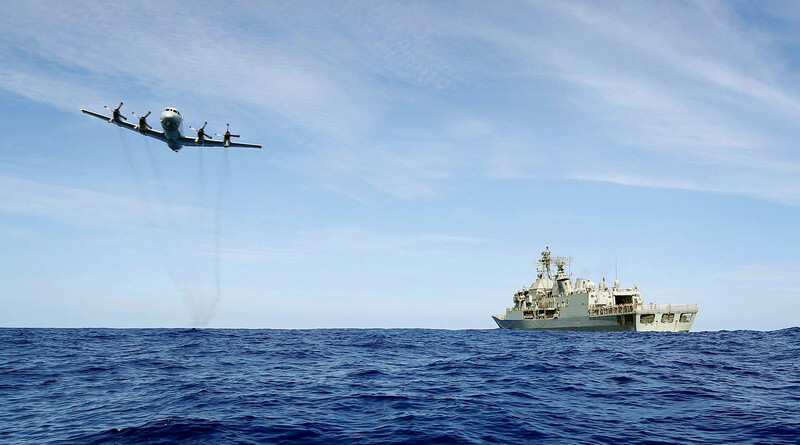 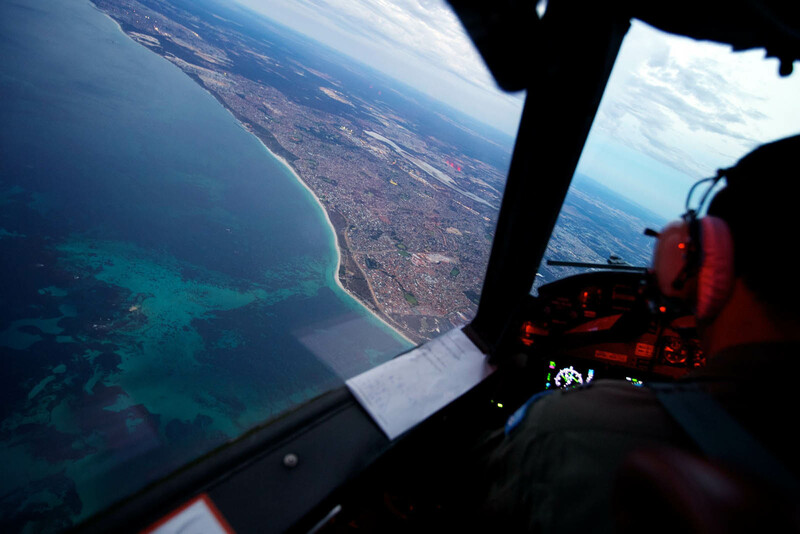 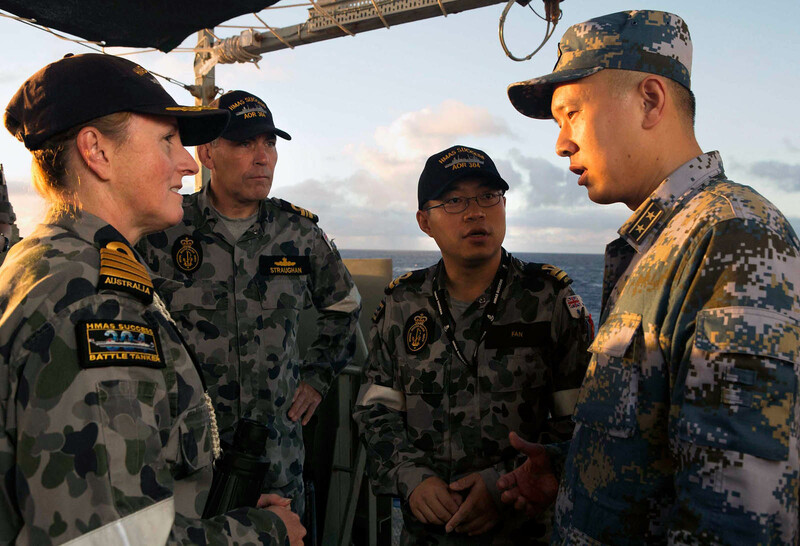 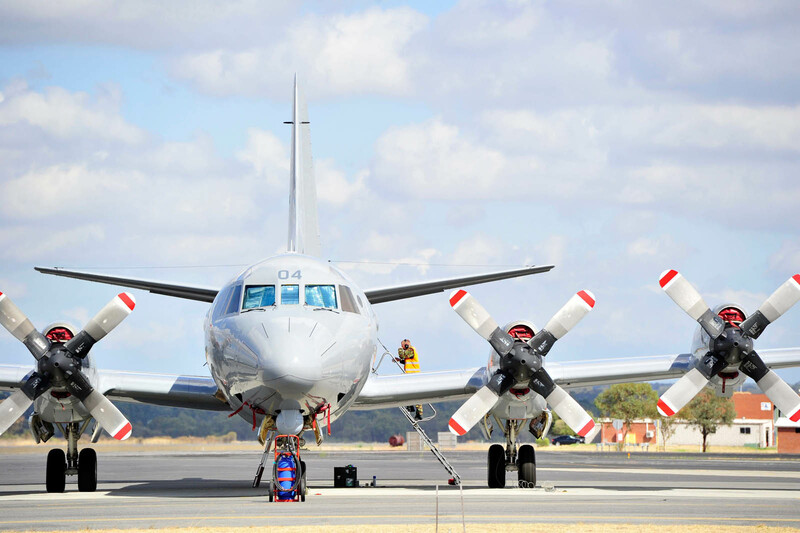 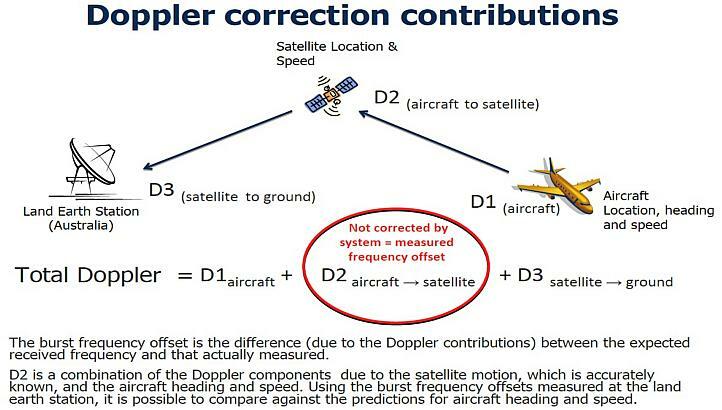 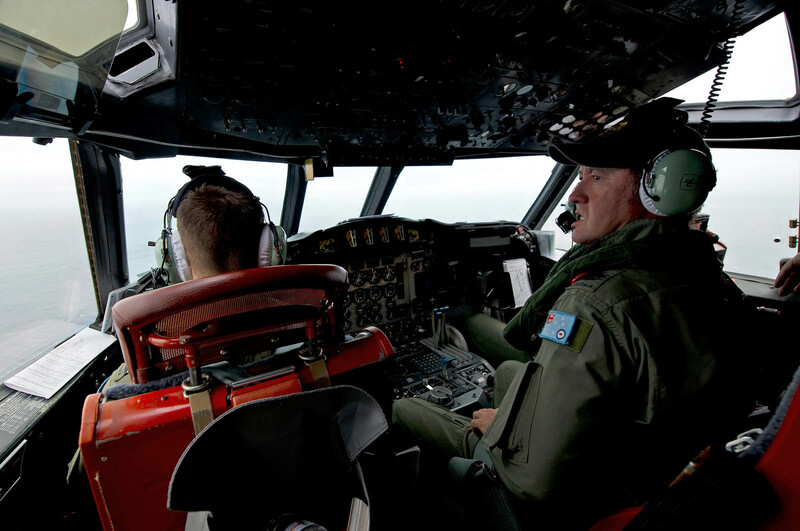 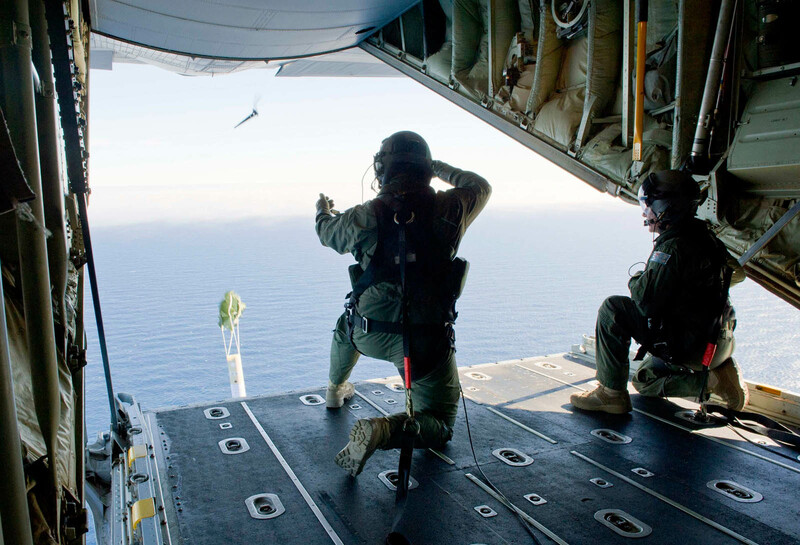 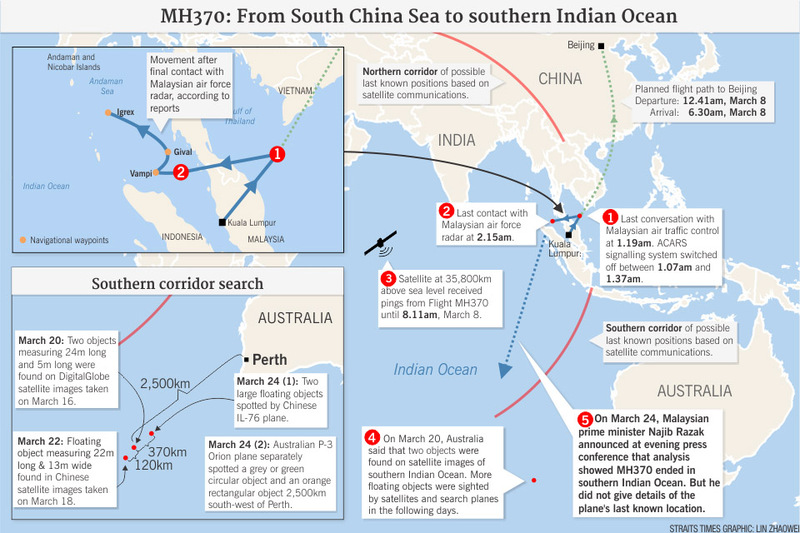 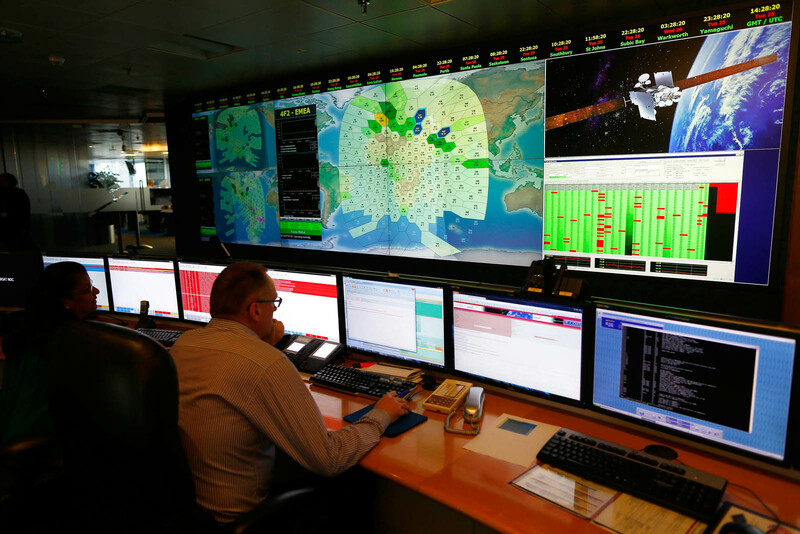 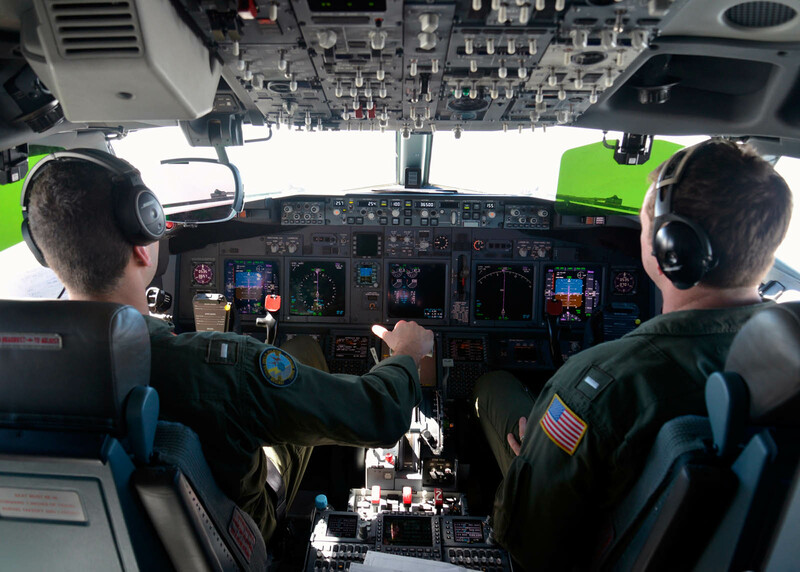 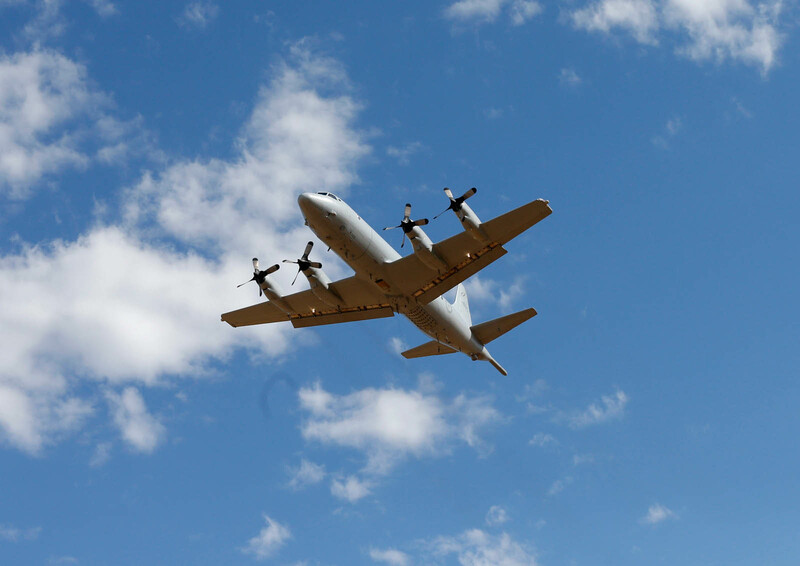 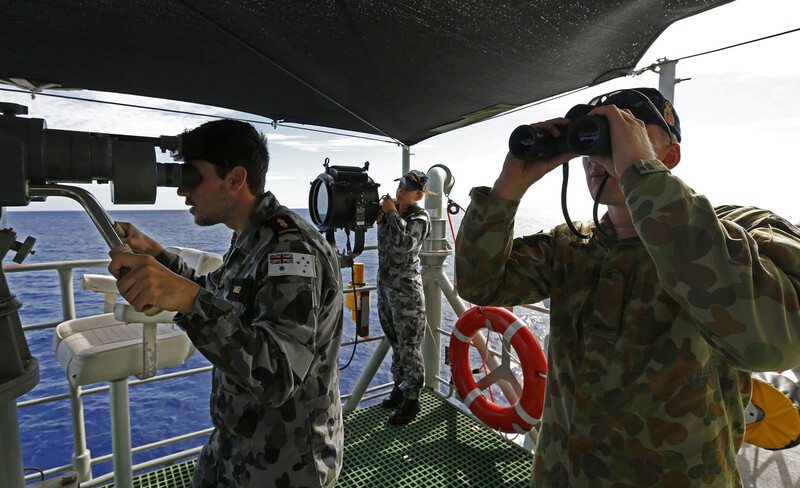 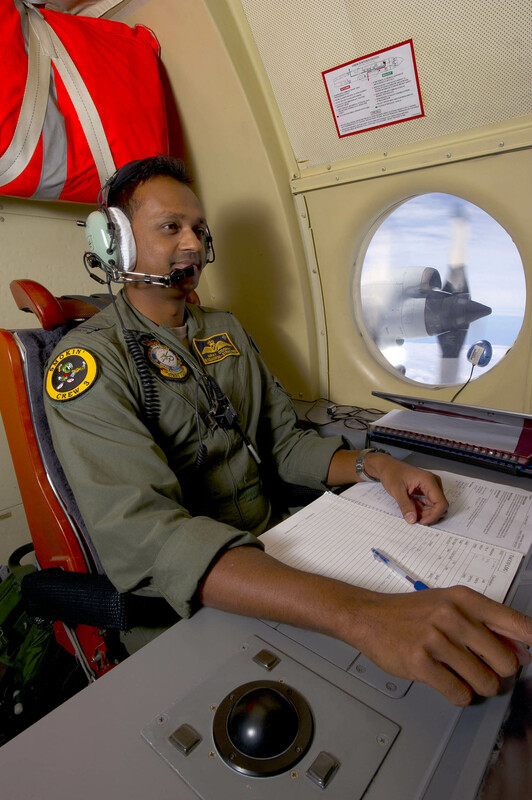 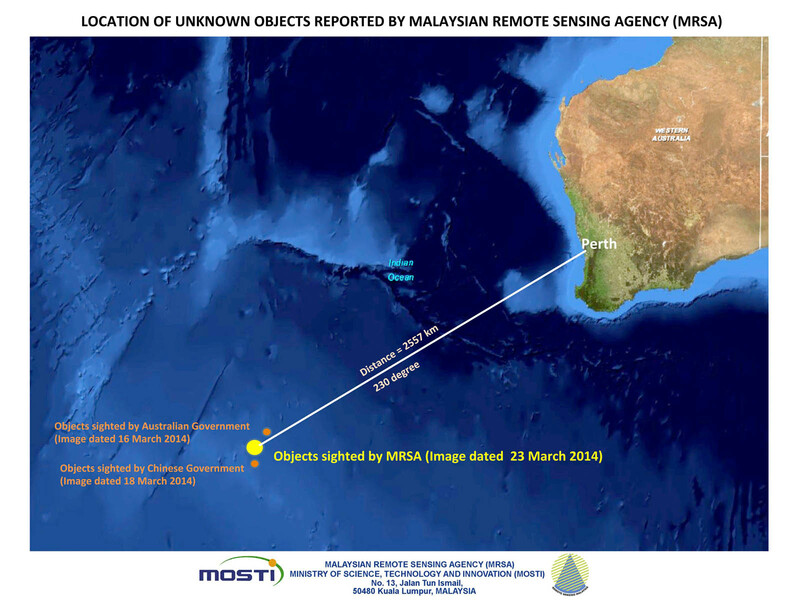 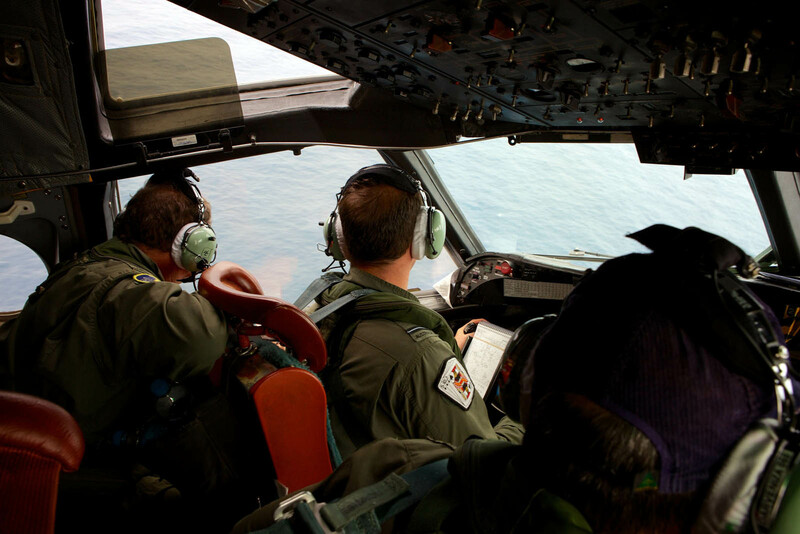 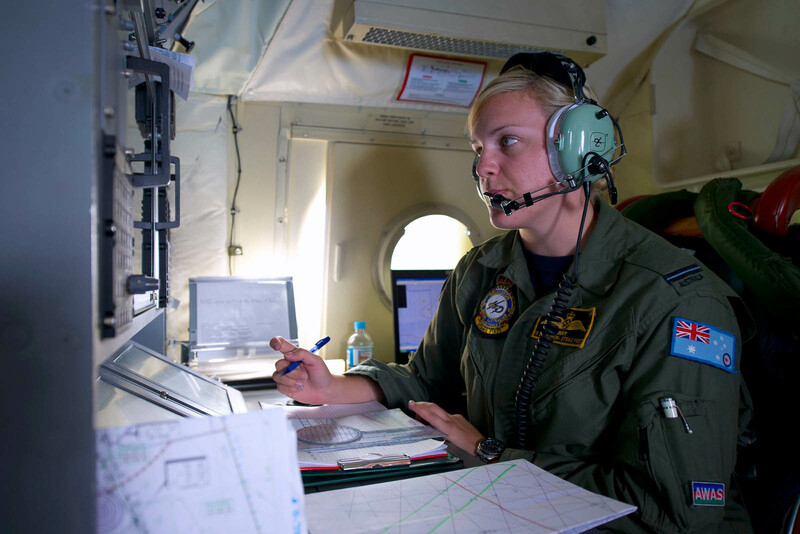 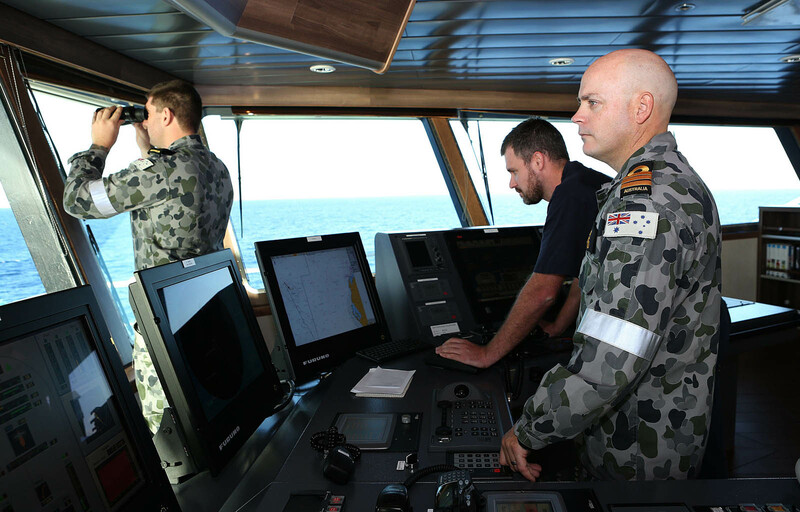 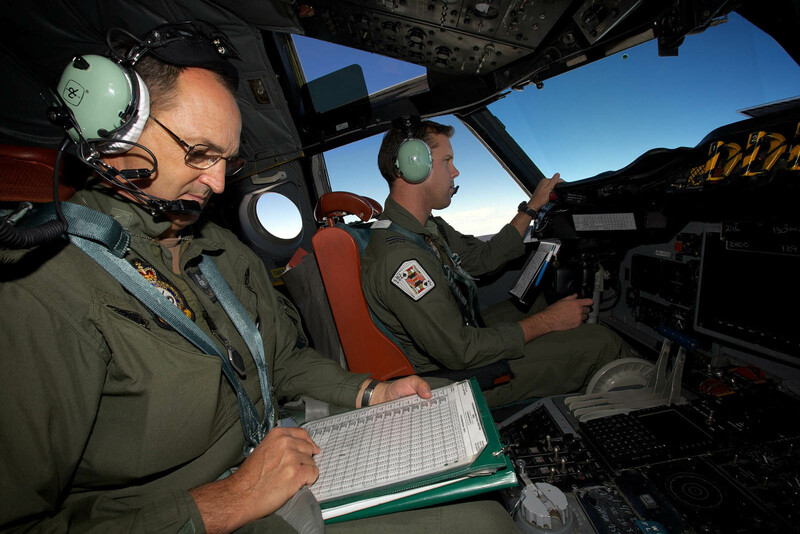 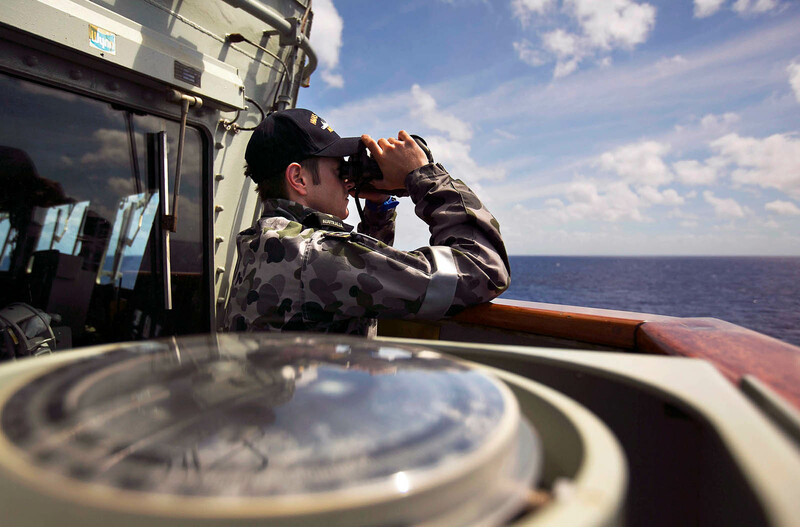 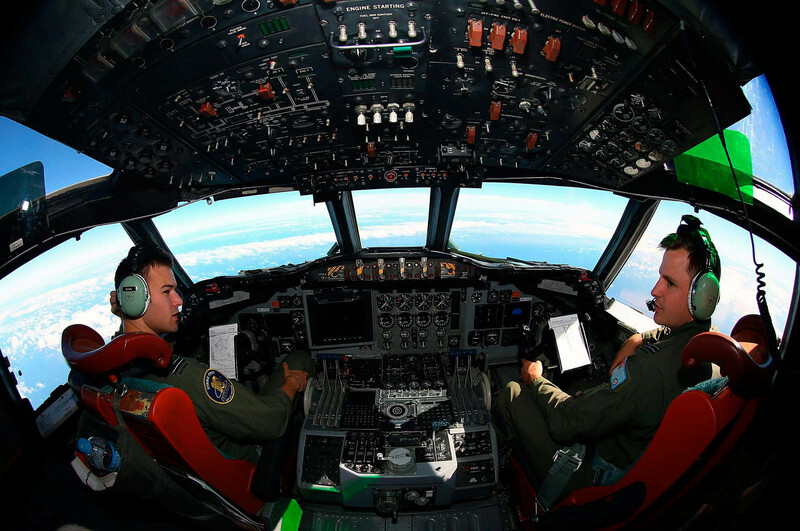 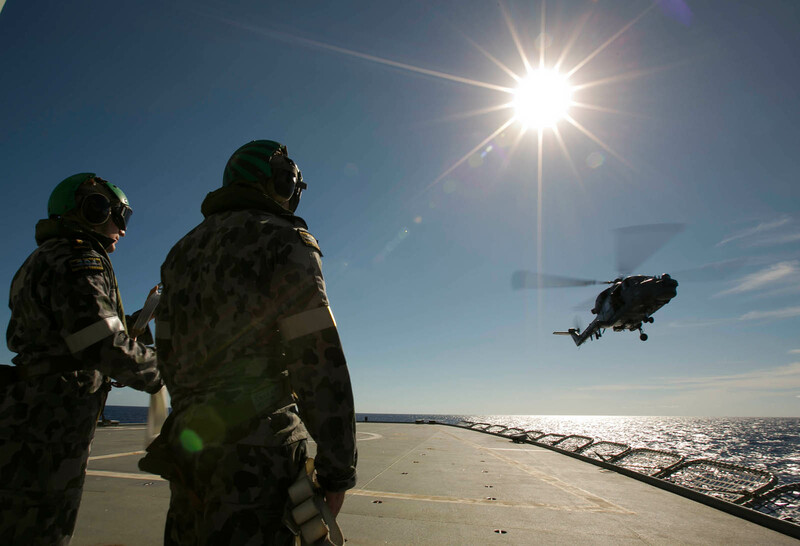 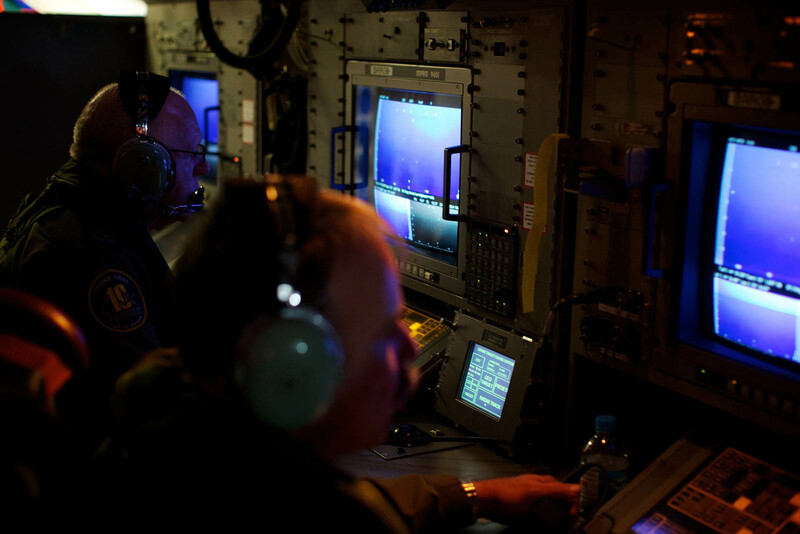 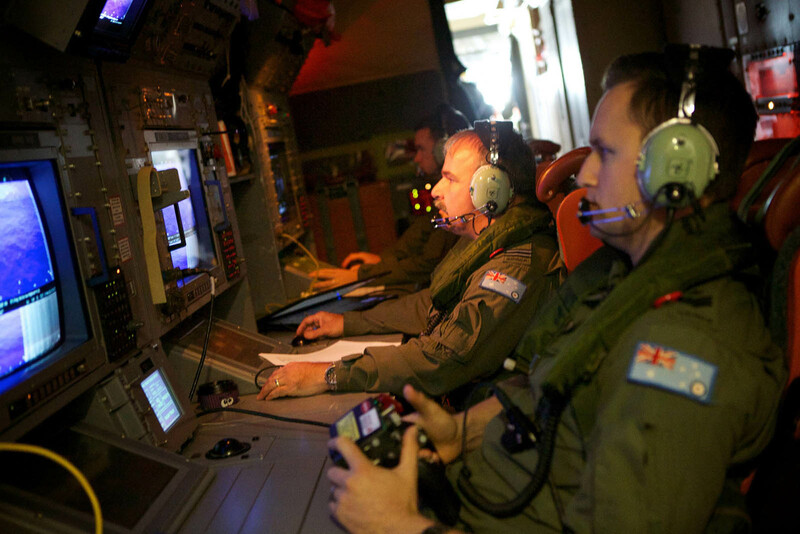 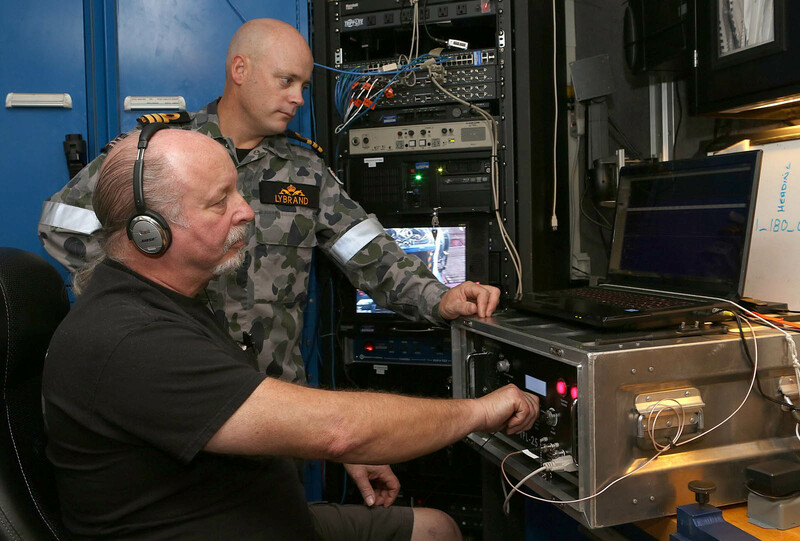 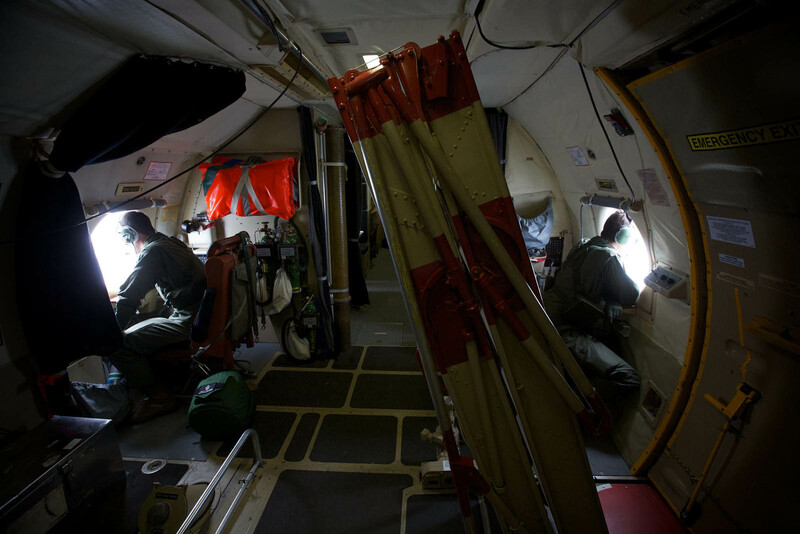 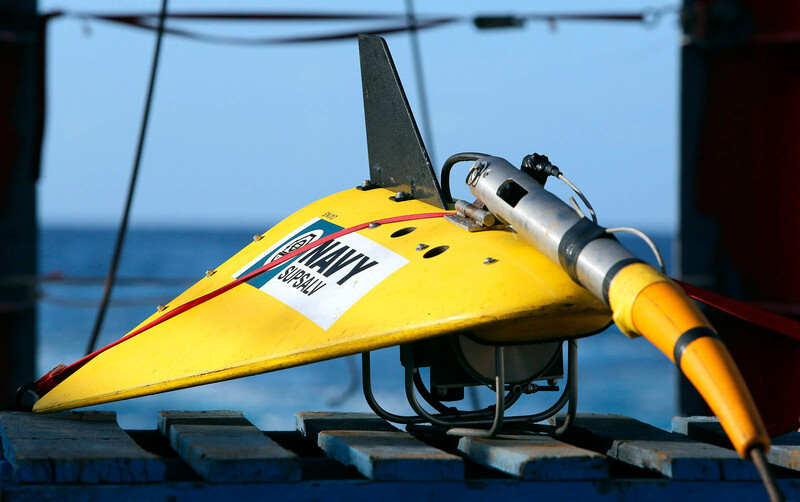 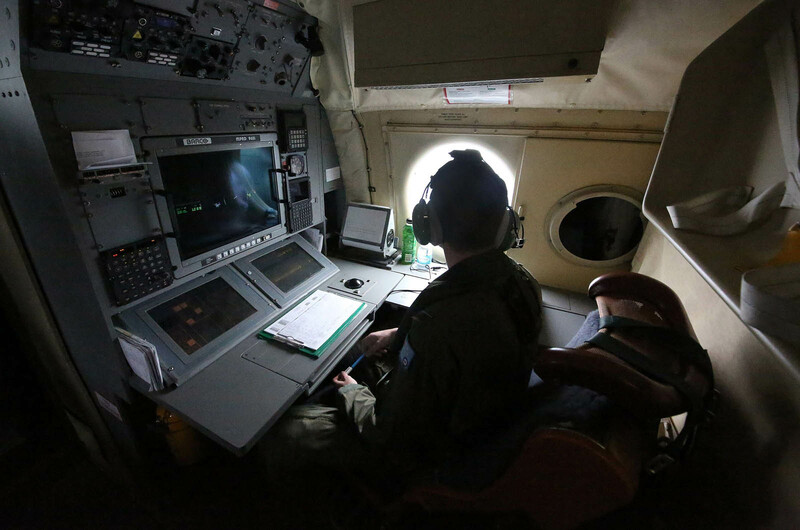 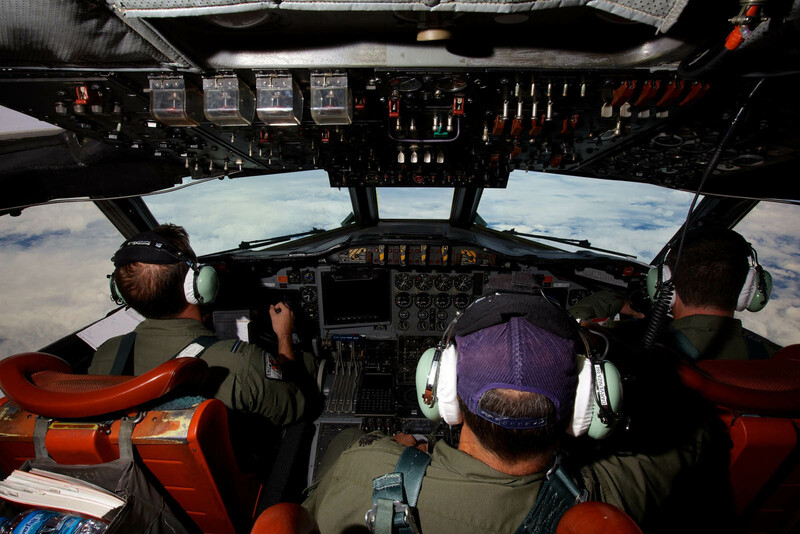 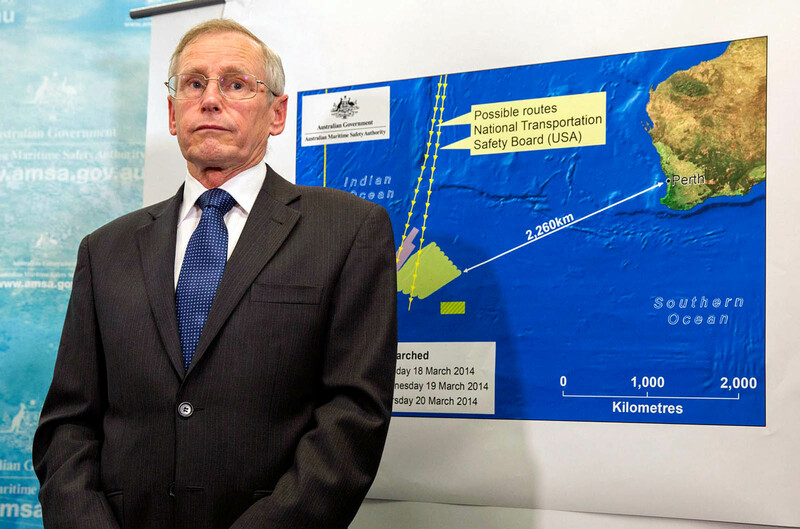 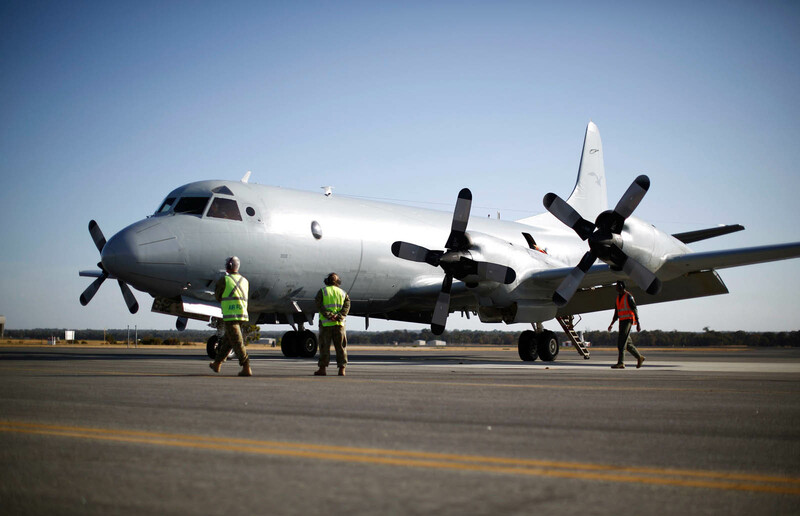 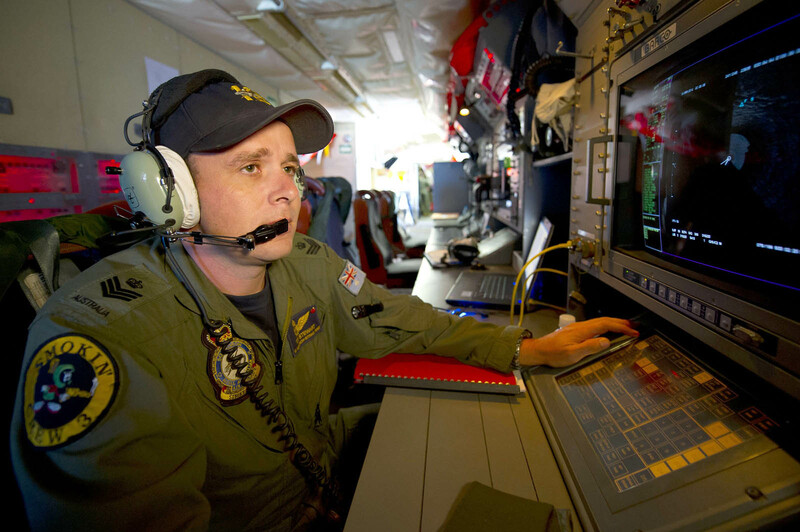 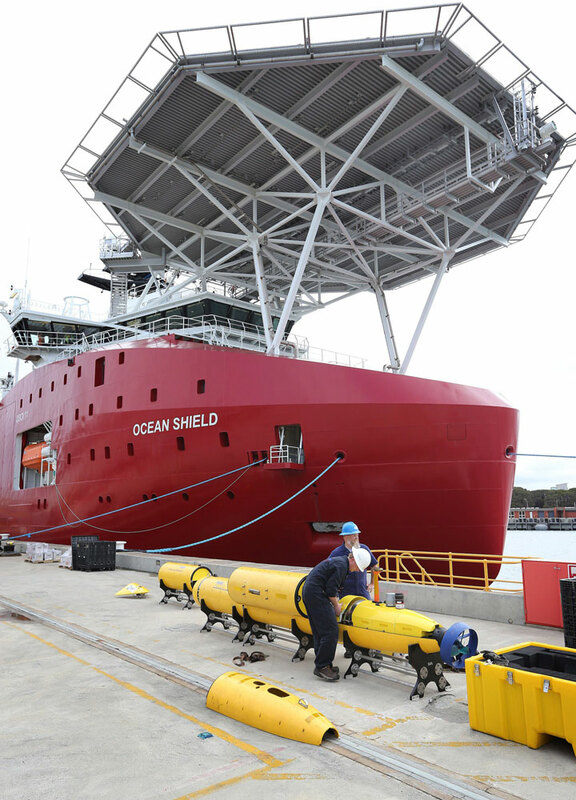 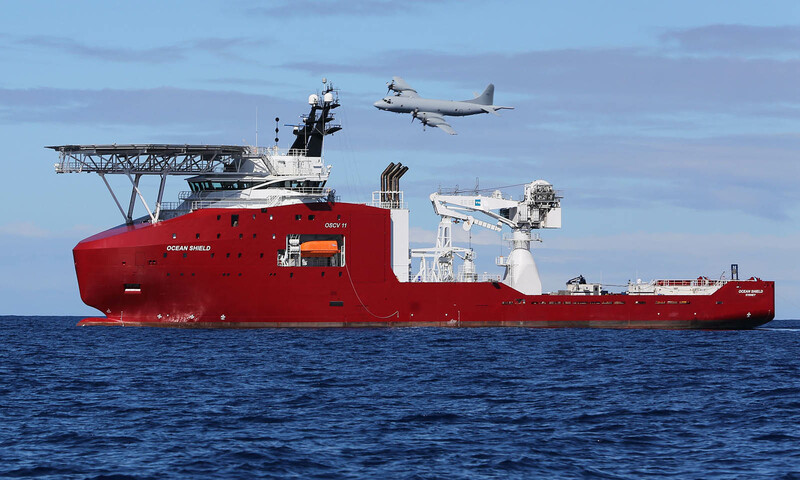 PERTH - Expert pilots flying some of the most sophisticated maritime reconnaissance aircraft are stretching their planes to the limit of their endurance in the search for Flight MH370, energised by a rising number of reported sightings by satellite and visual contact. 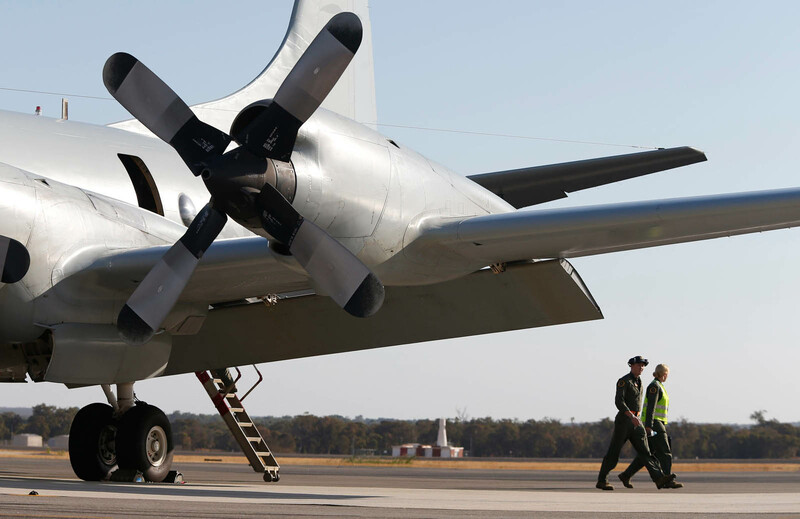 At this air force base 35km north of Perth, where Singapore pilots are also trained, the morning air is filled with the roar of engines at full throttle as P-3 Orions and a P-8 Poseidon aircraft take to the skies to journey 2,500km south-west, where two sites about 120km apart are the current focus of the search. 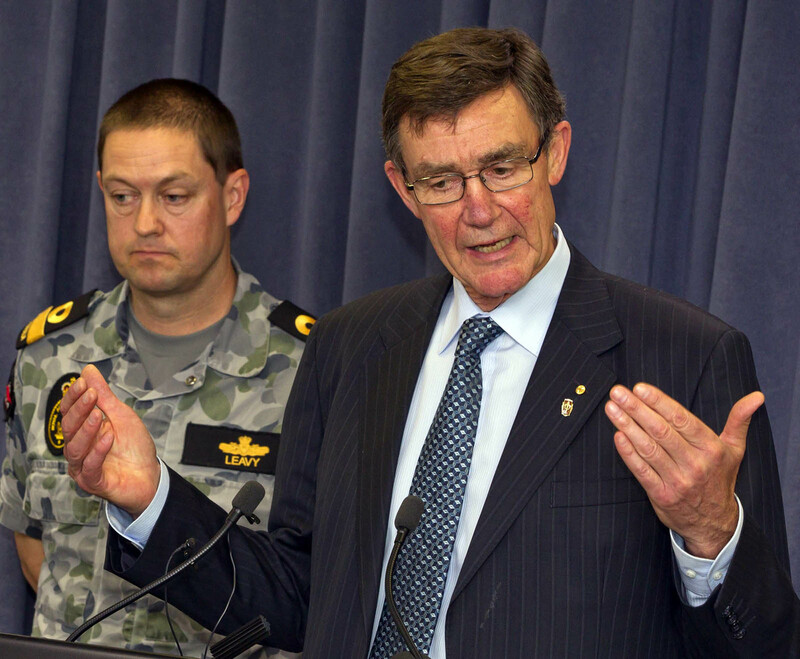 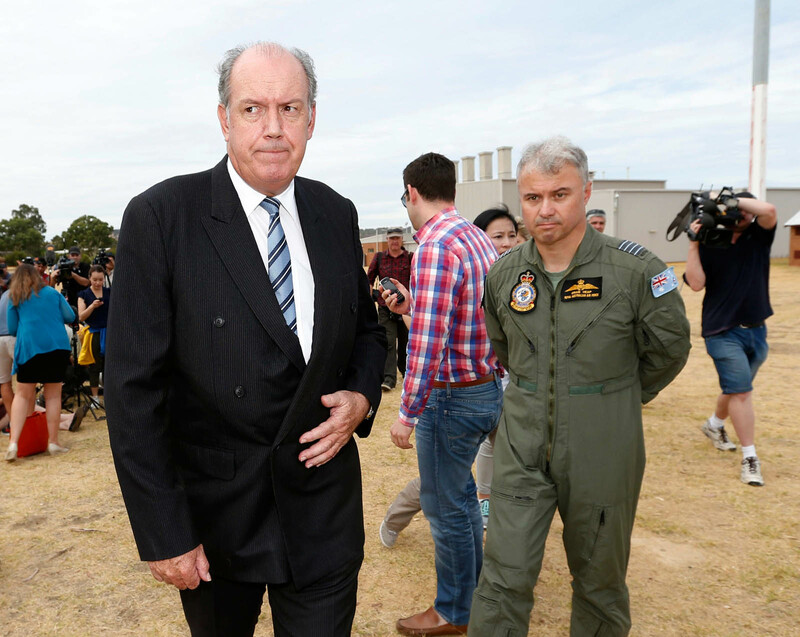 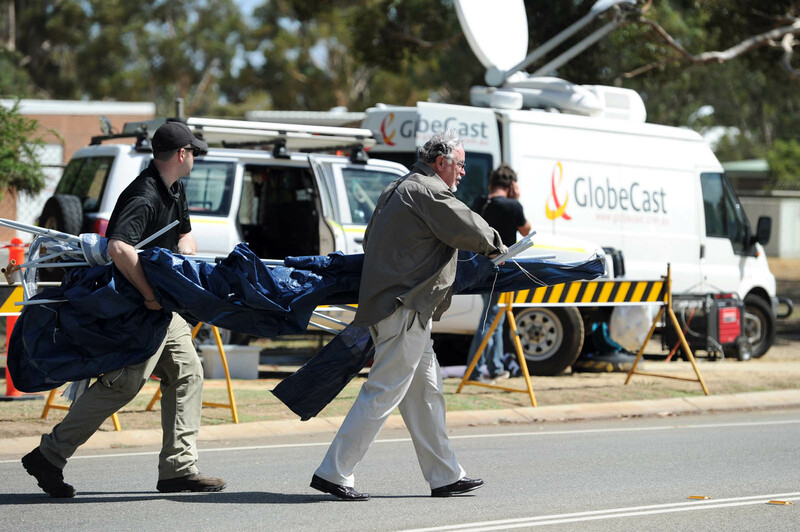 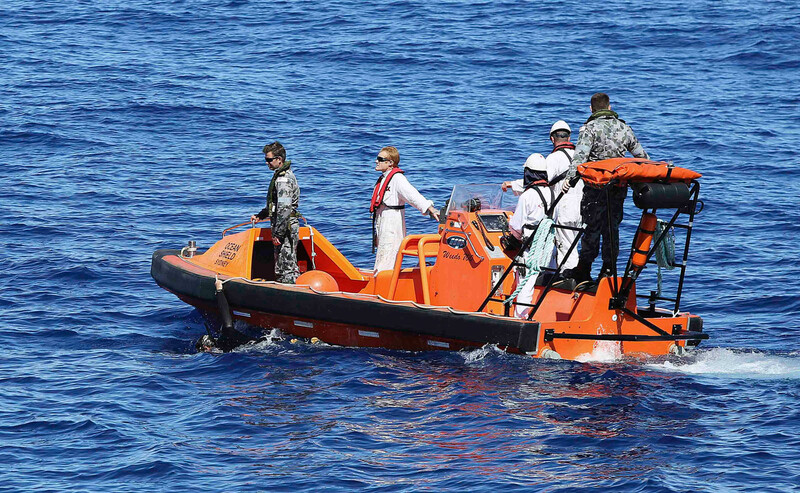 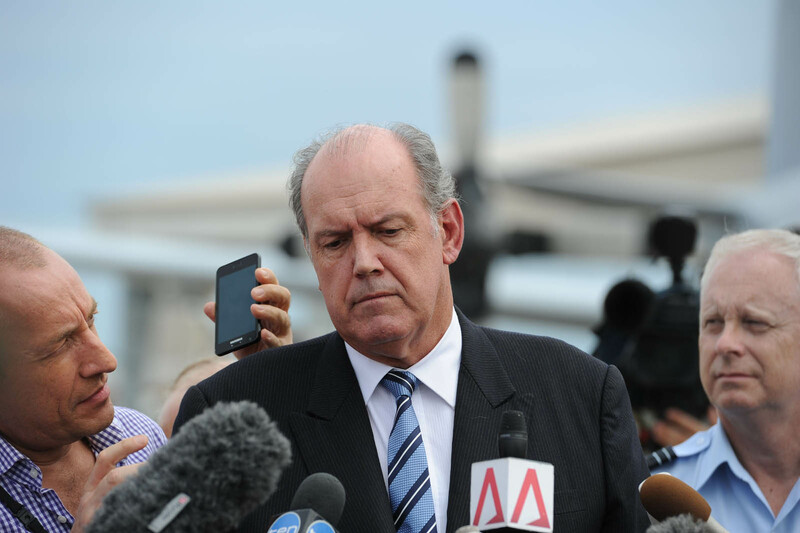 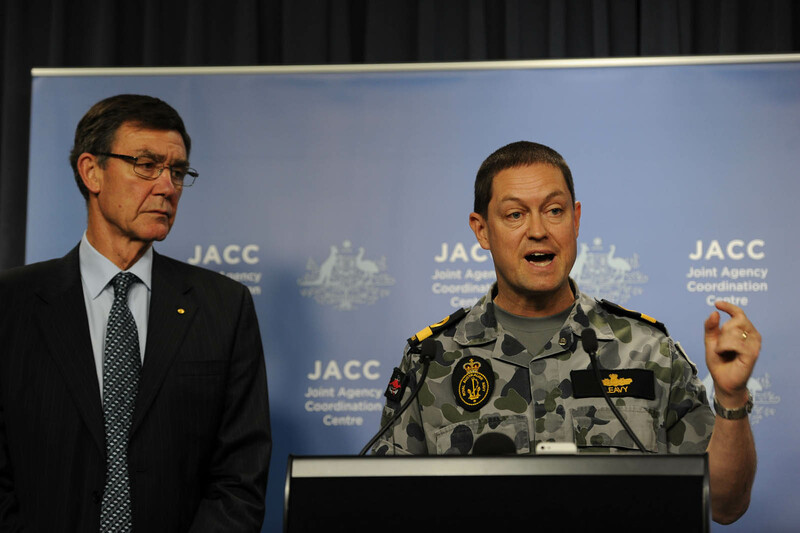 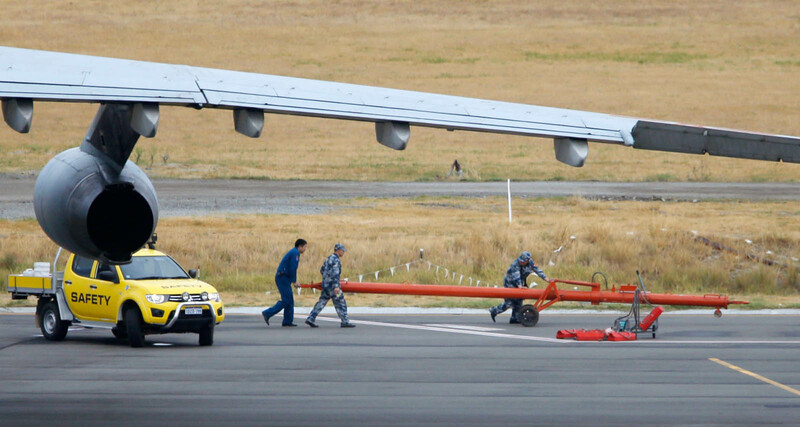 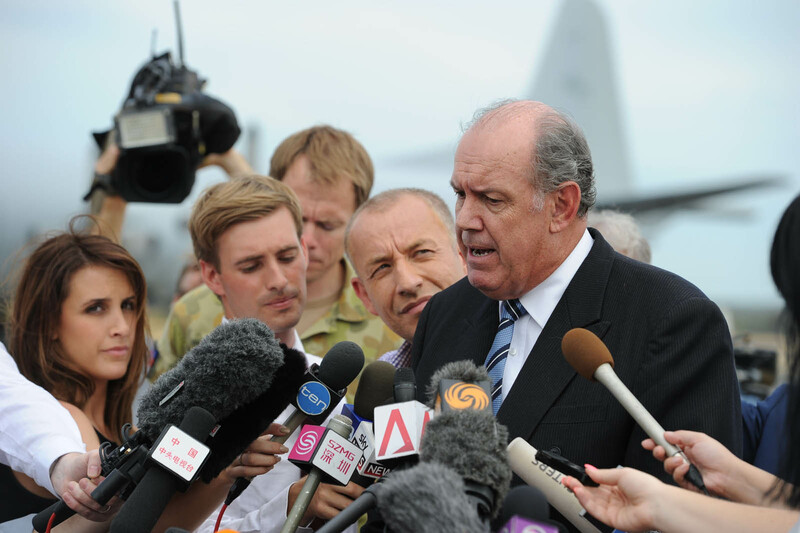 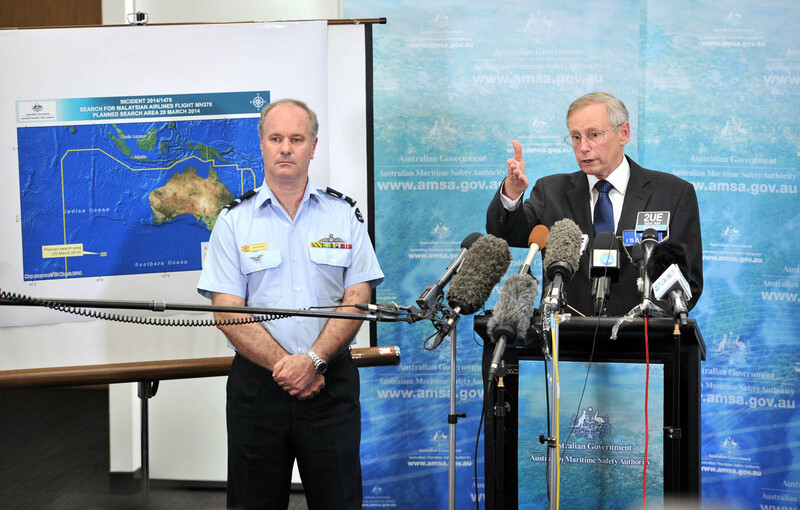 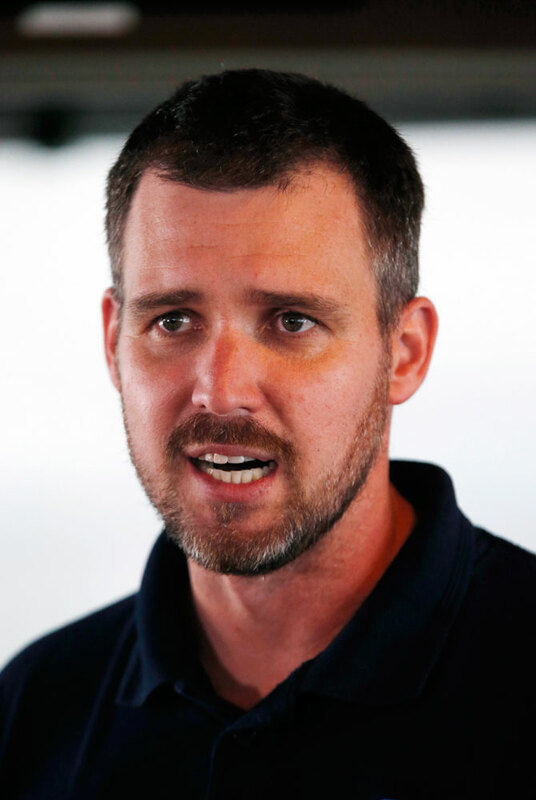 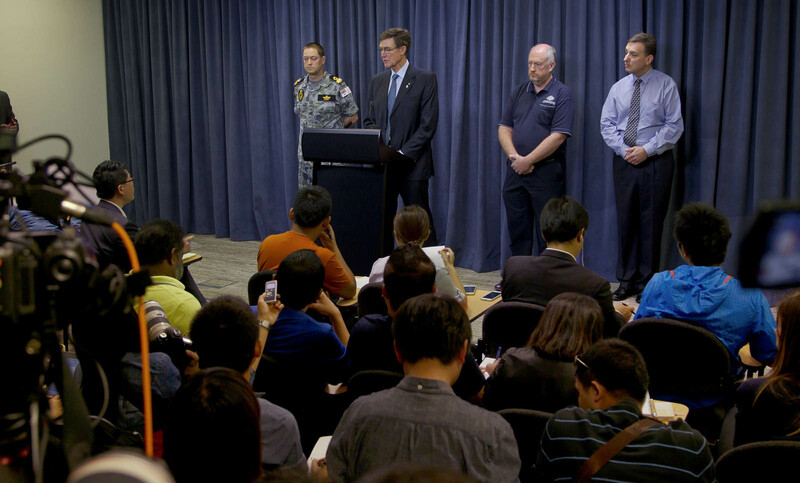 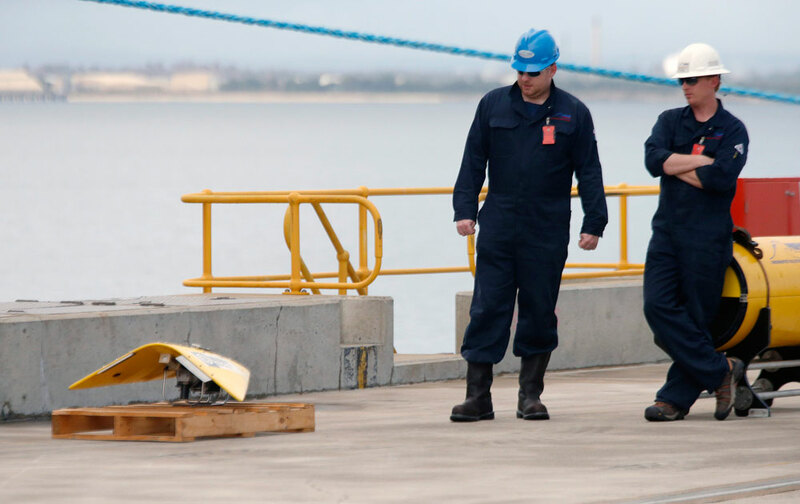 "The aircraft are operating at extreme ranges," Australian Maritime Safety Authority (Amsa) official Mike Barton said at a press conference in Canberra on Sunday. 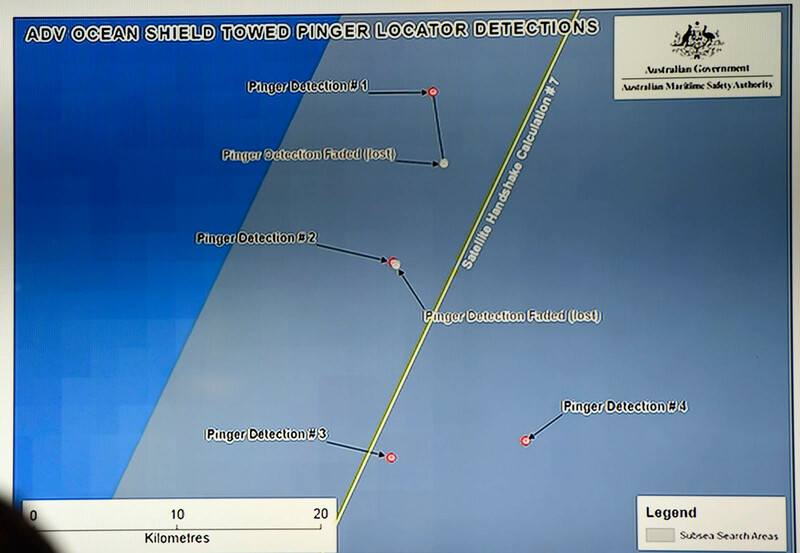 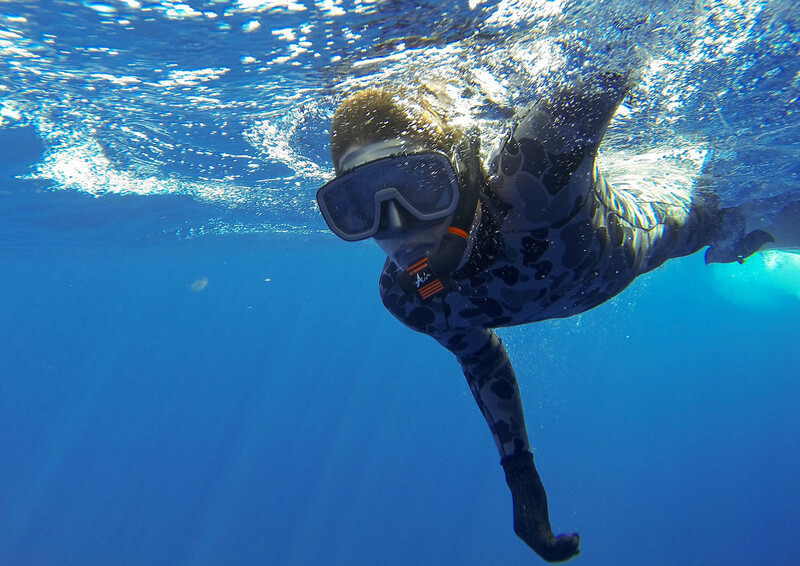 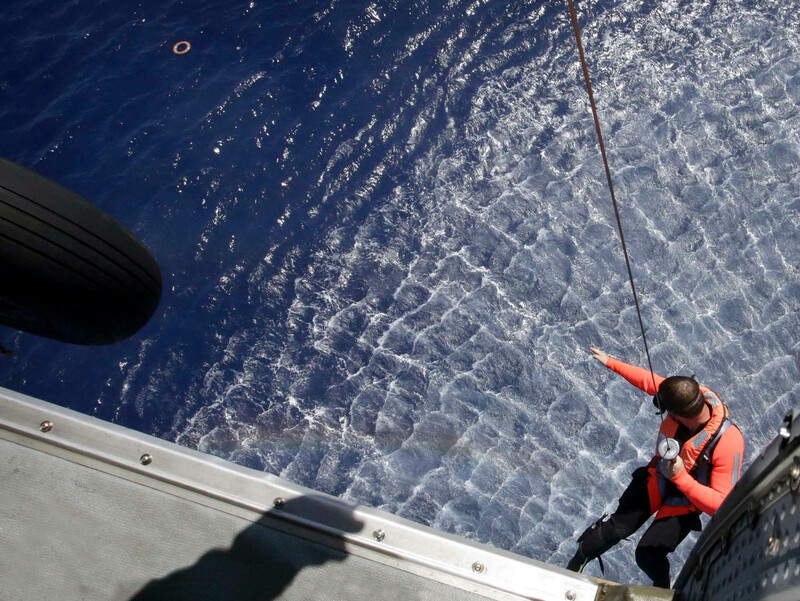 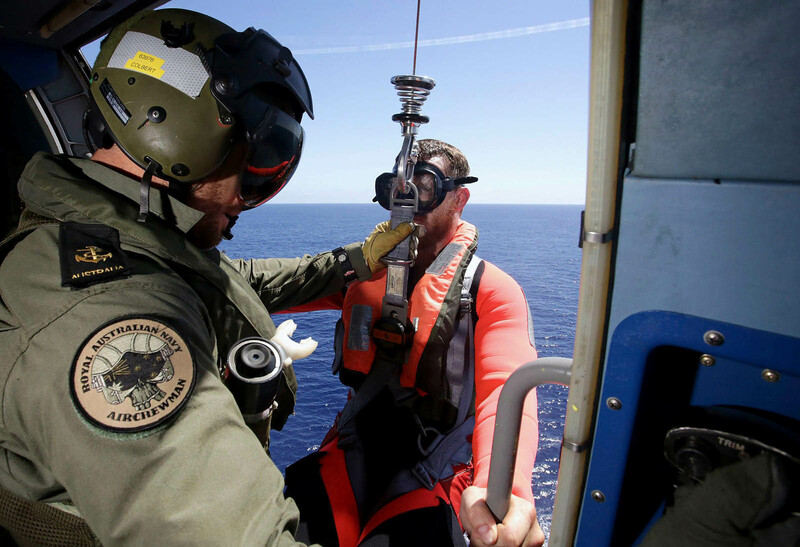 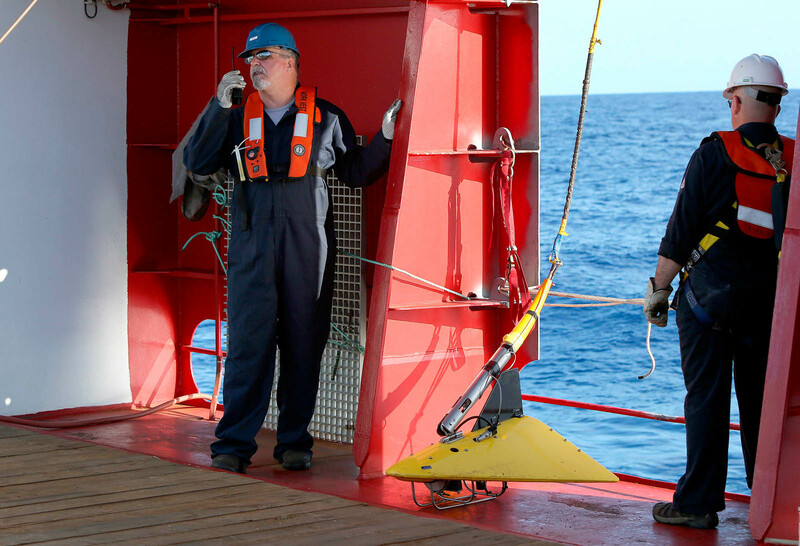 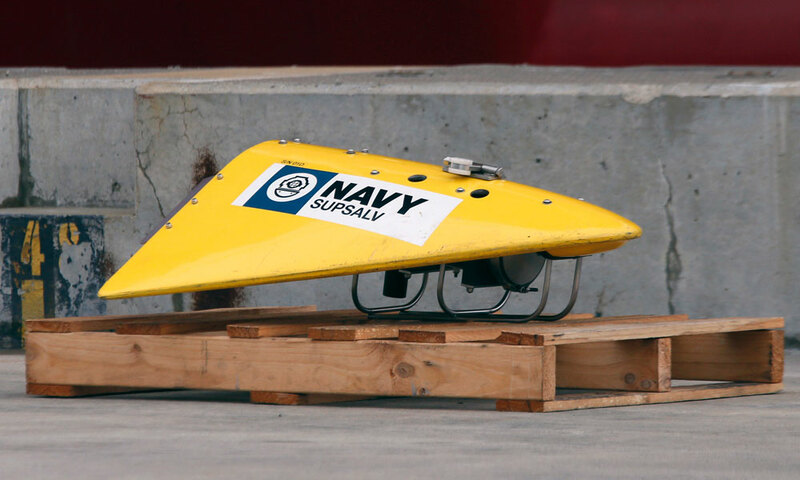 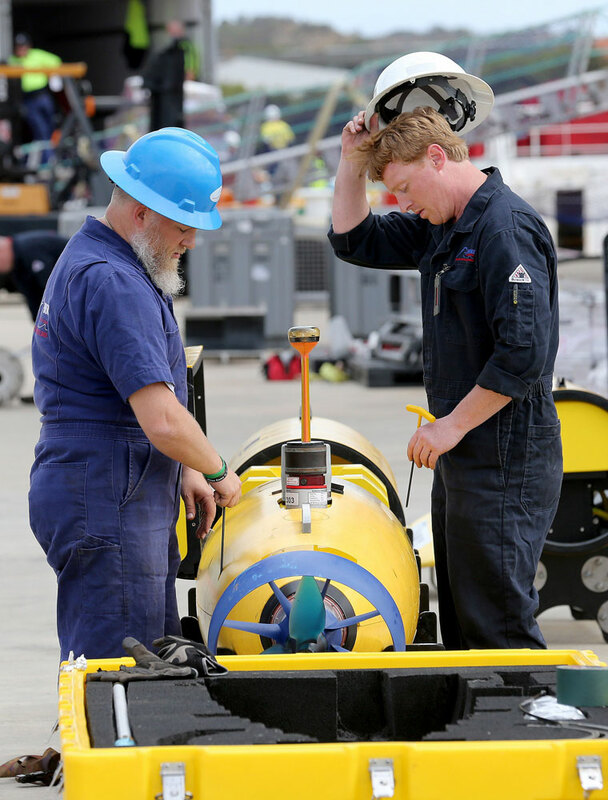 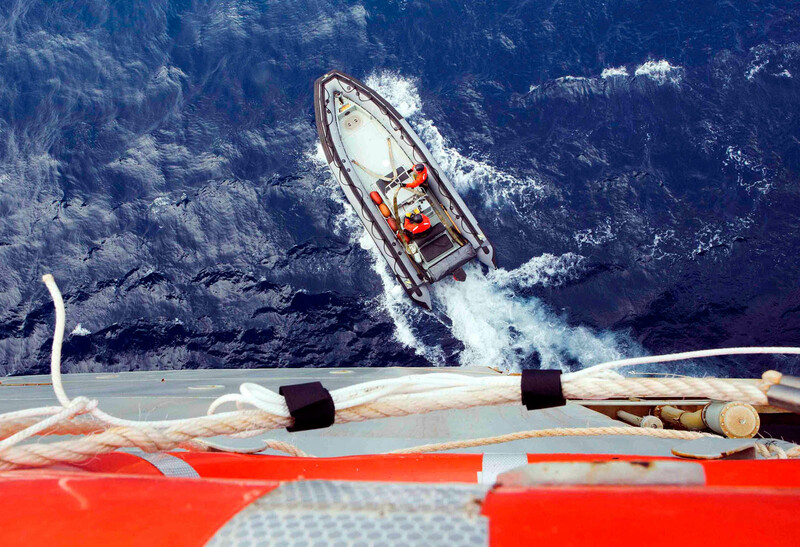 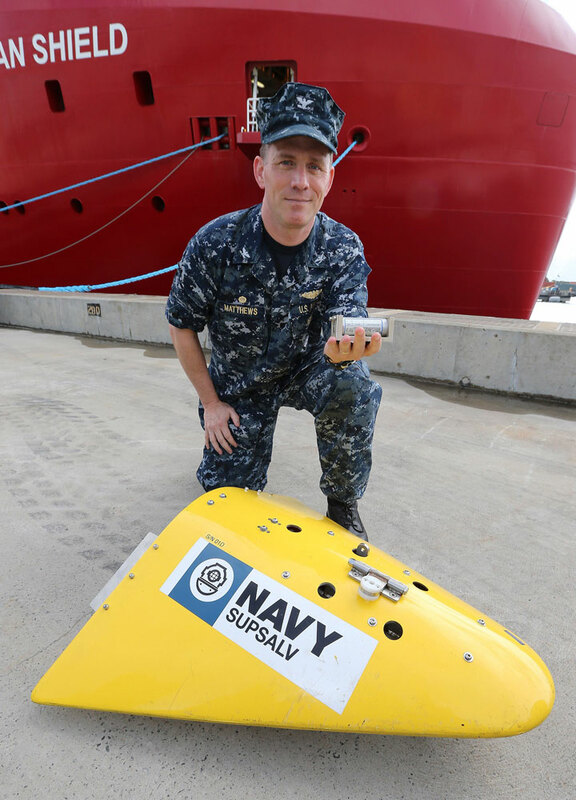 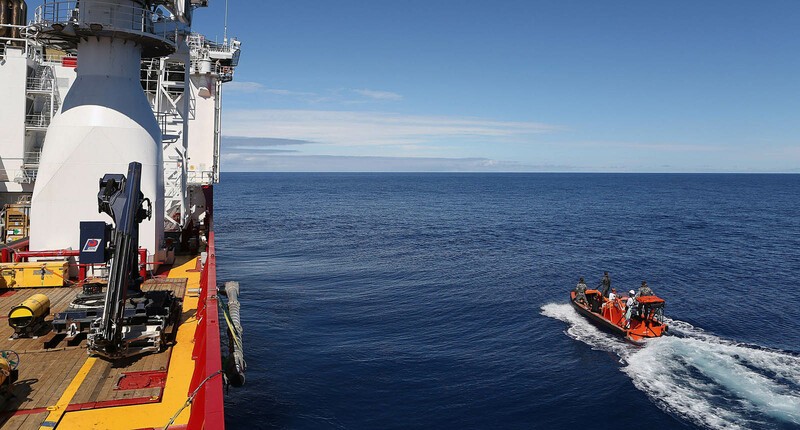 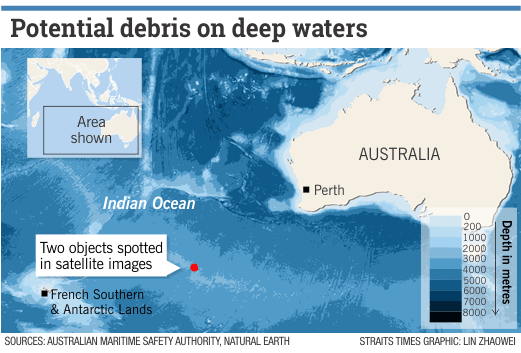 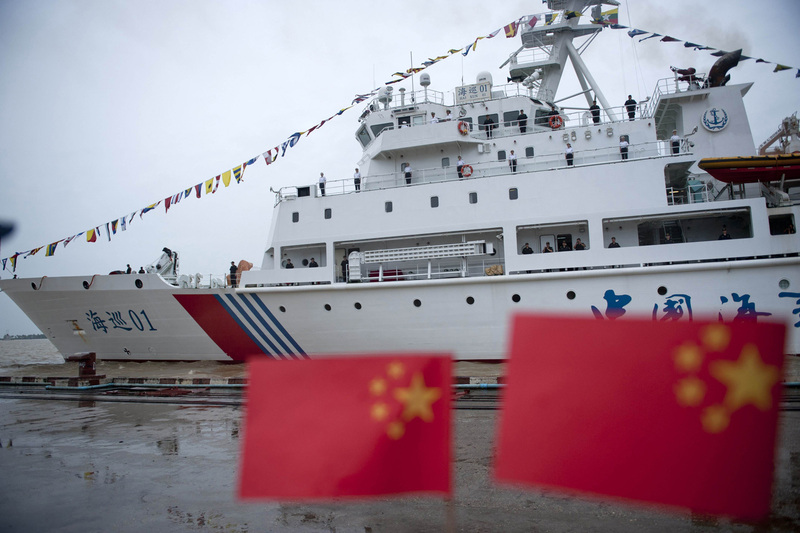 "They are operating at the limits of their endurance and only have a short period of one to two hours in the search area, and then back again. 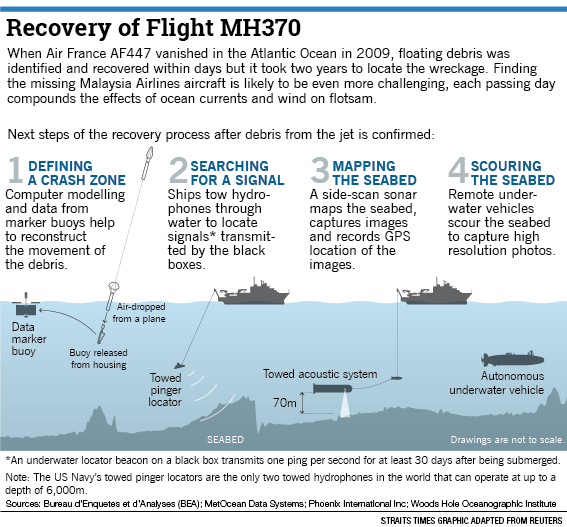 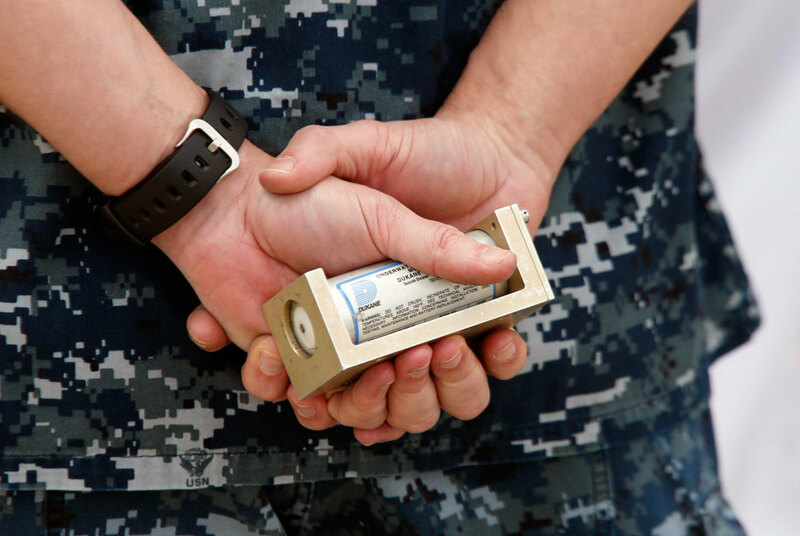 So, that is only allowing us to get a single search a day, which is again spreading the search out for several days." 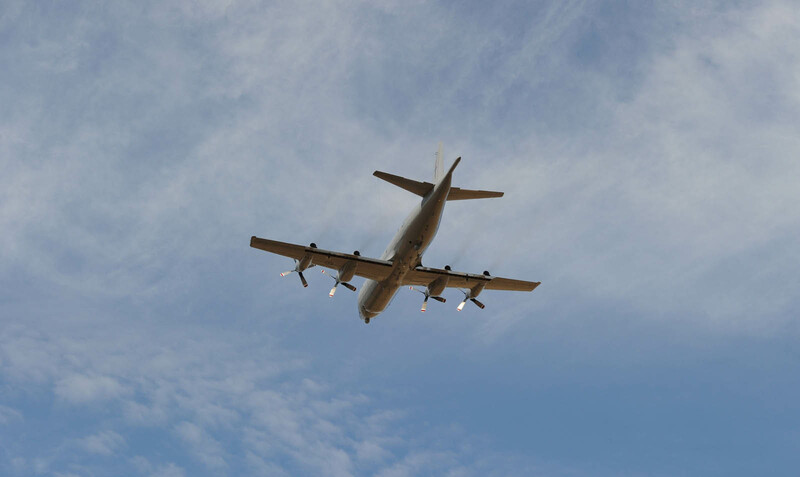 On Sunday, eight planes - four of them civilian ones - covered a 59,000 sq km area in total. 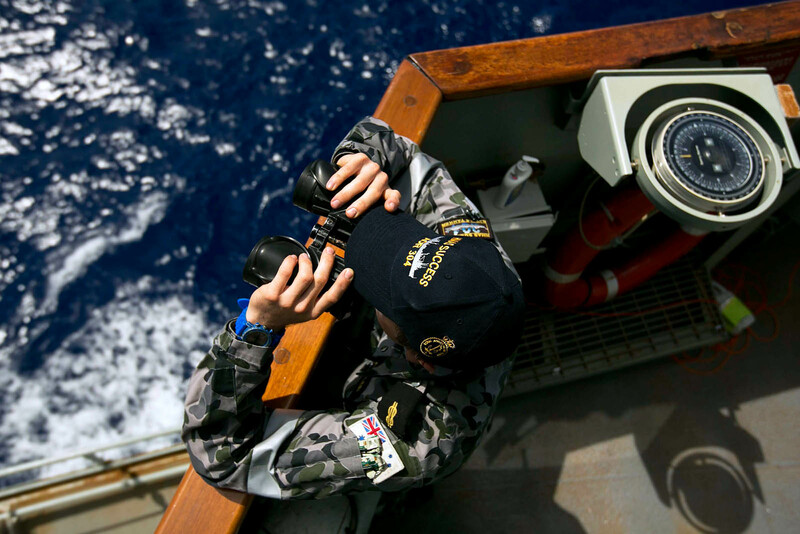 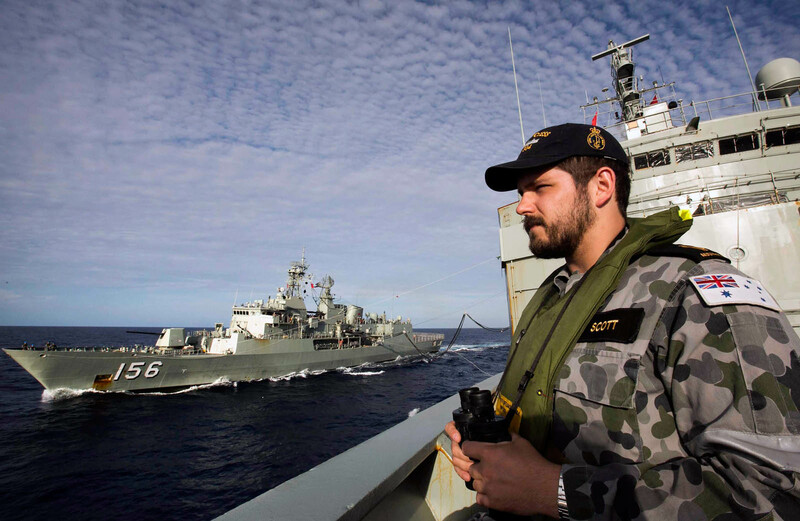 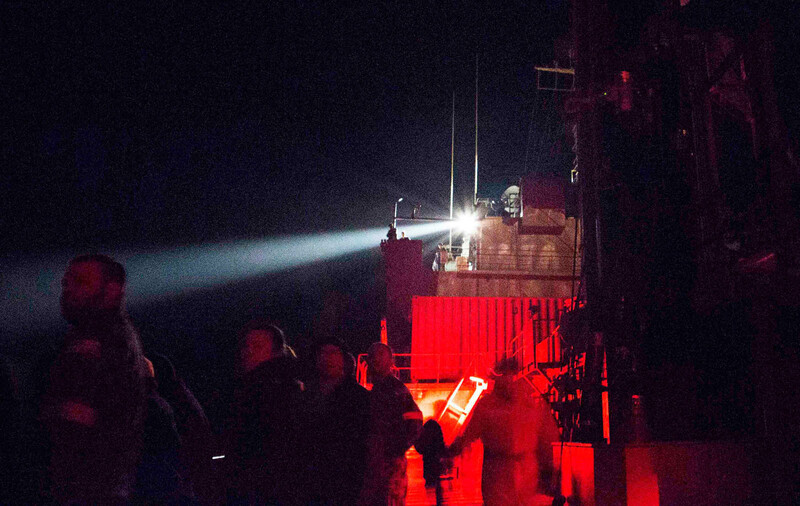 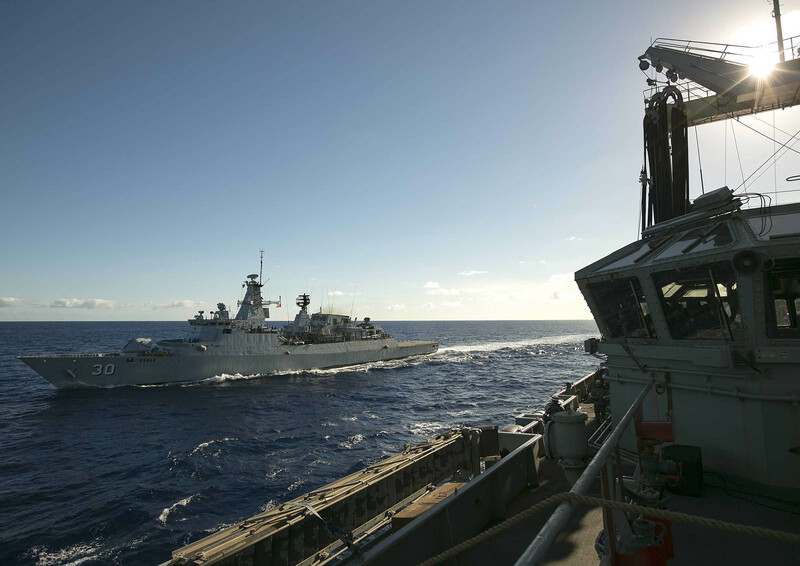 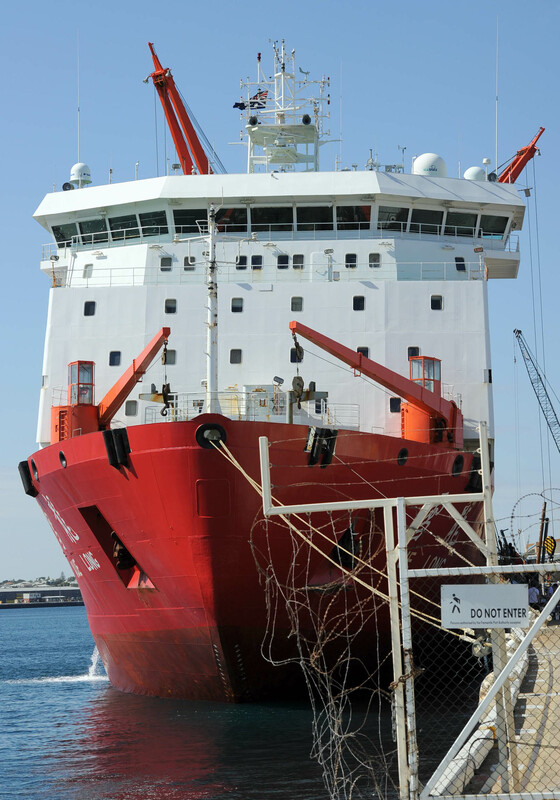 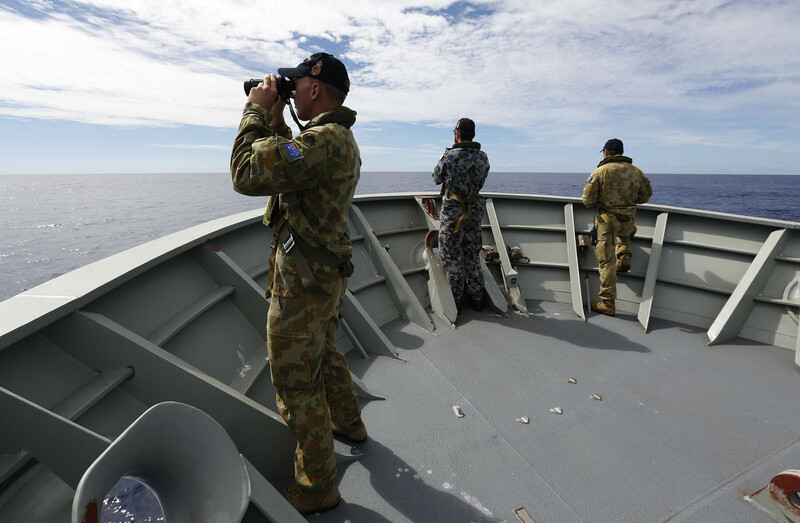 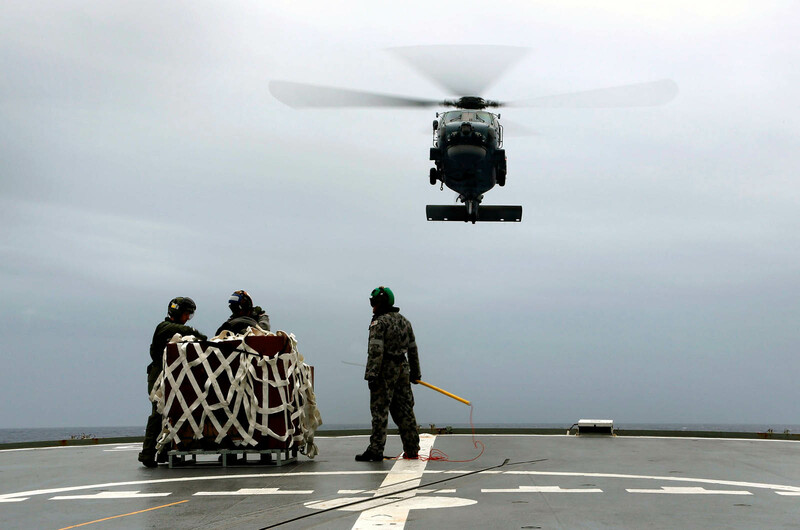 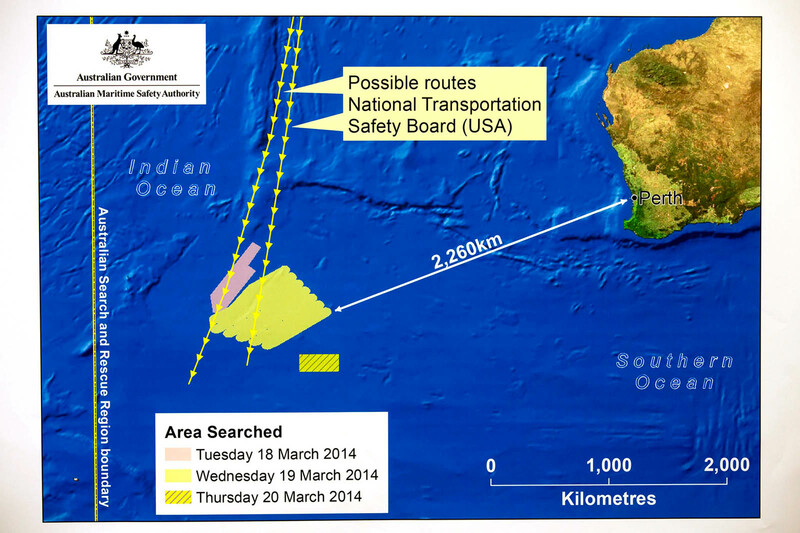 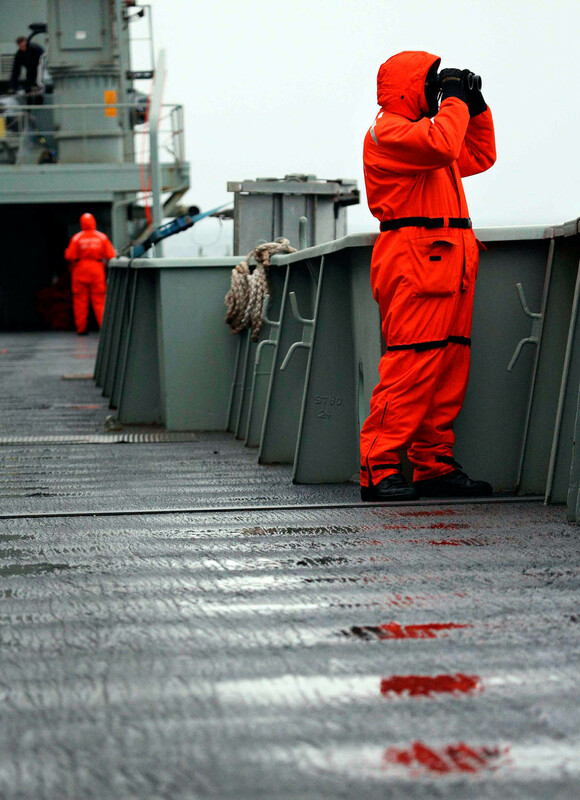 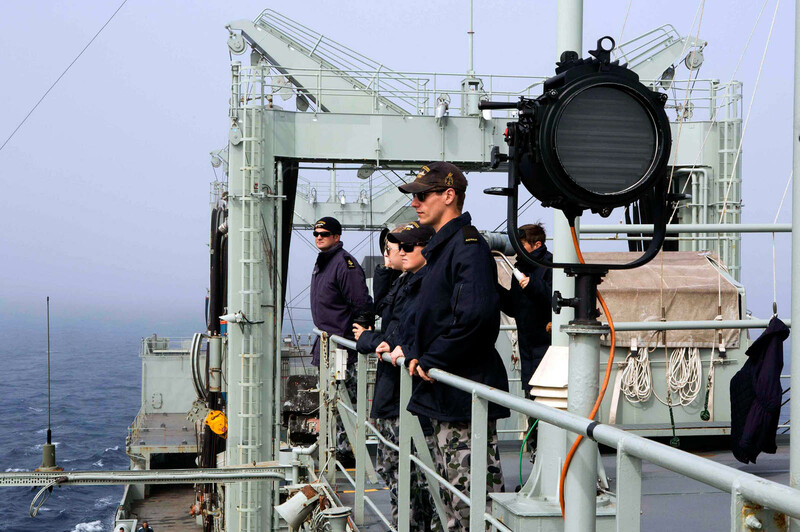 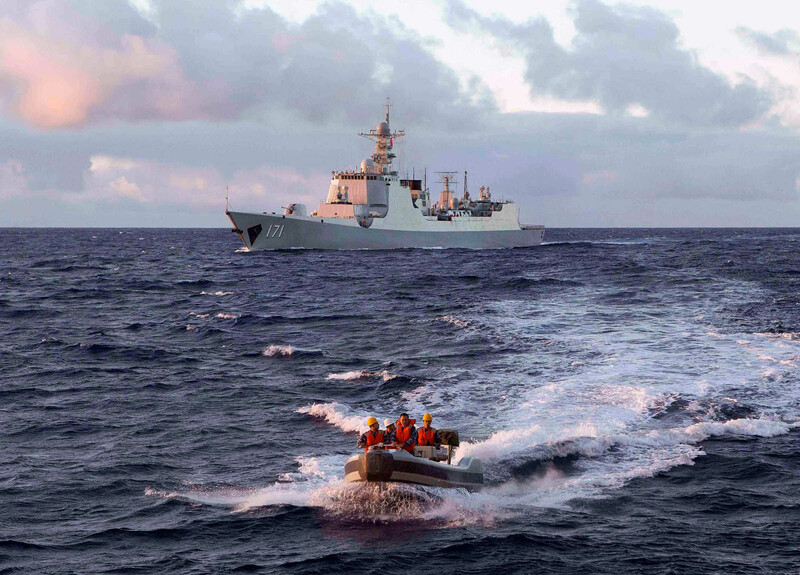 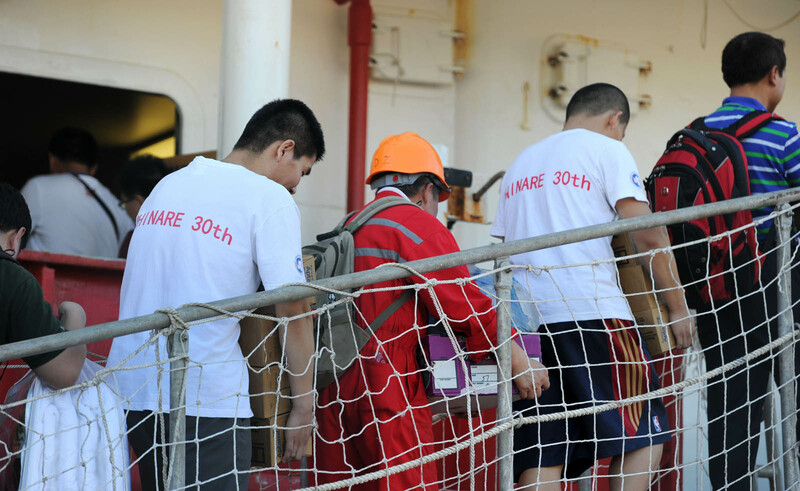 The Royal Australian Navy supply ship, the HMAS Success, also joined the search. 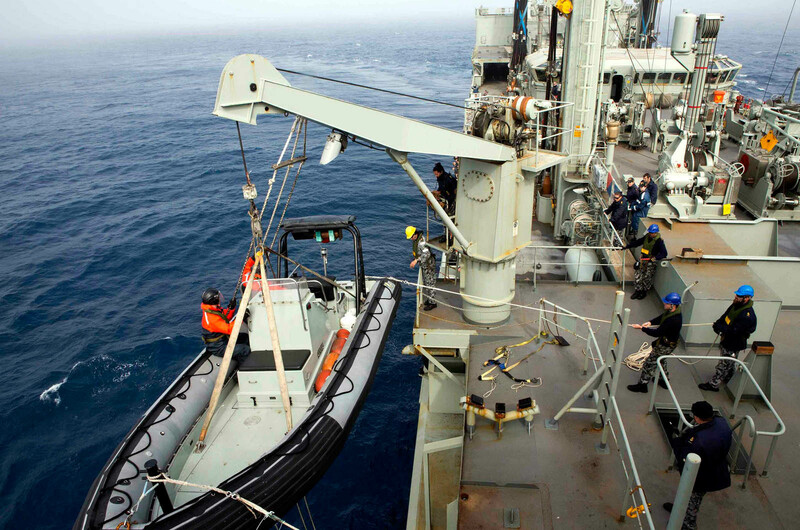 Britain is sending from its deployment in the Persian Gulf the HMS Echo, a specialist ship with underwater listening equipment, to survey the seabed. 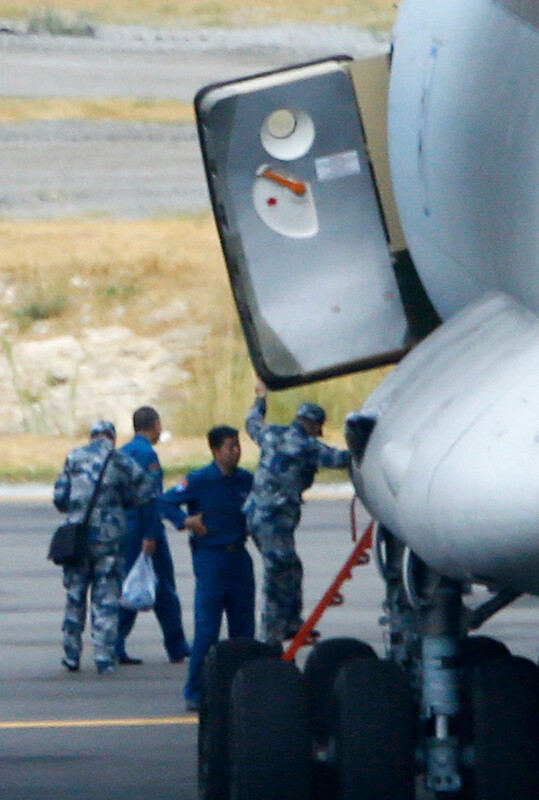 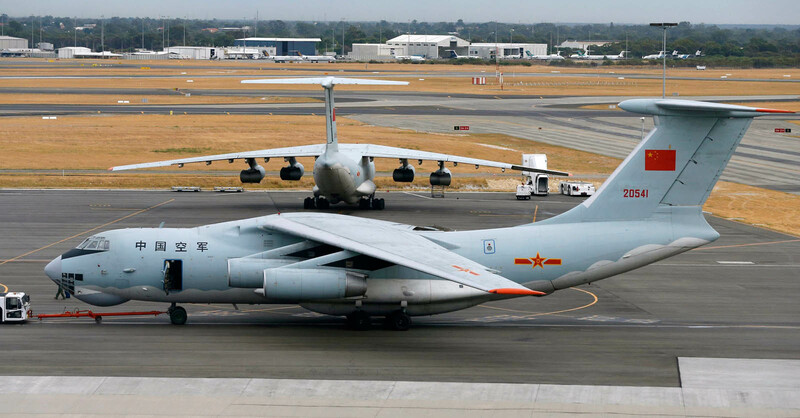 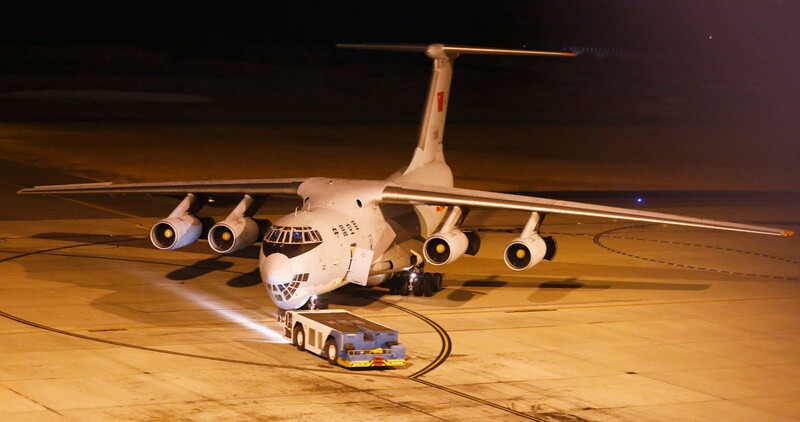 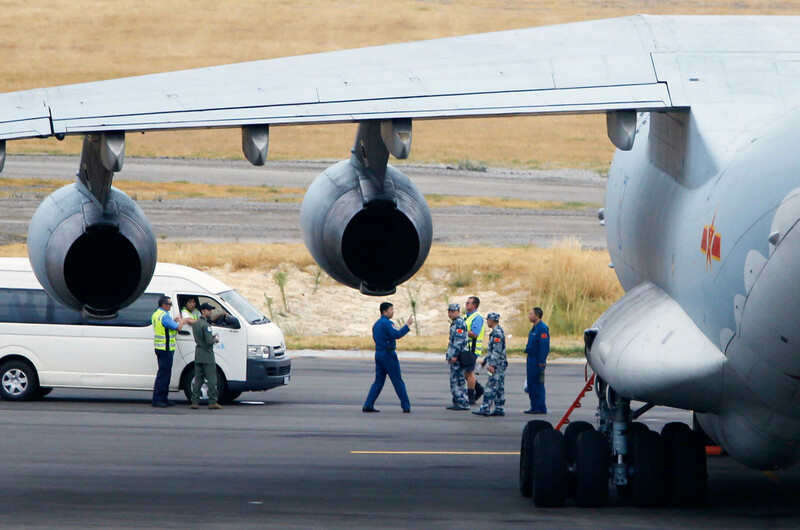 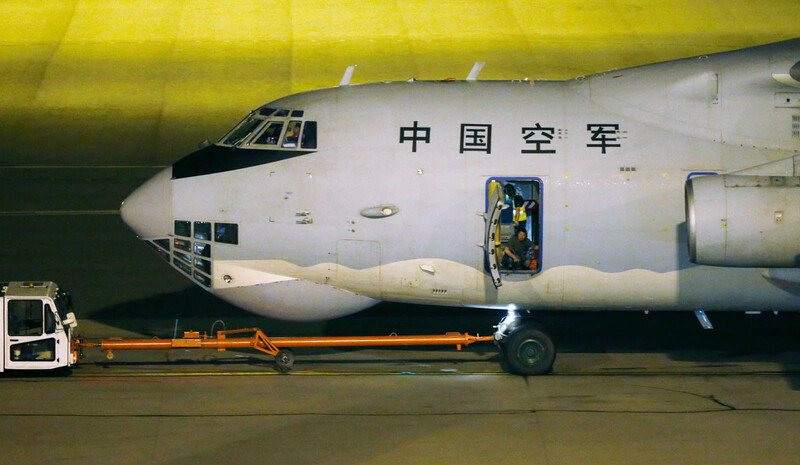 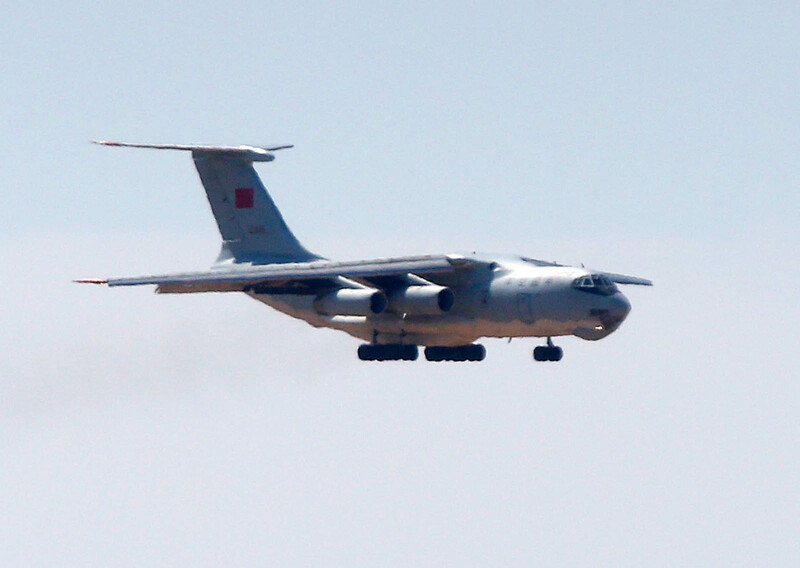 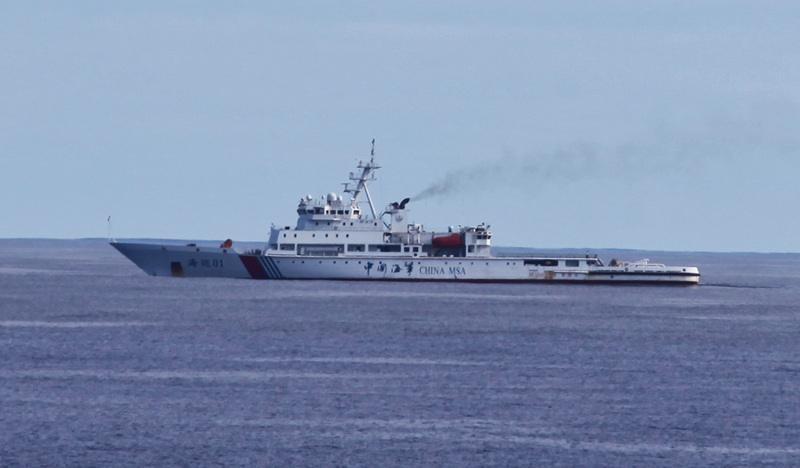 Two giant Chinese Ilyushin 76 planes, were also flown to the area at daybreak on Monday, weather permitting. 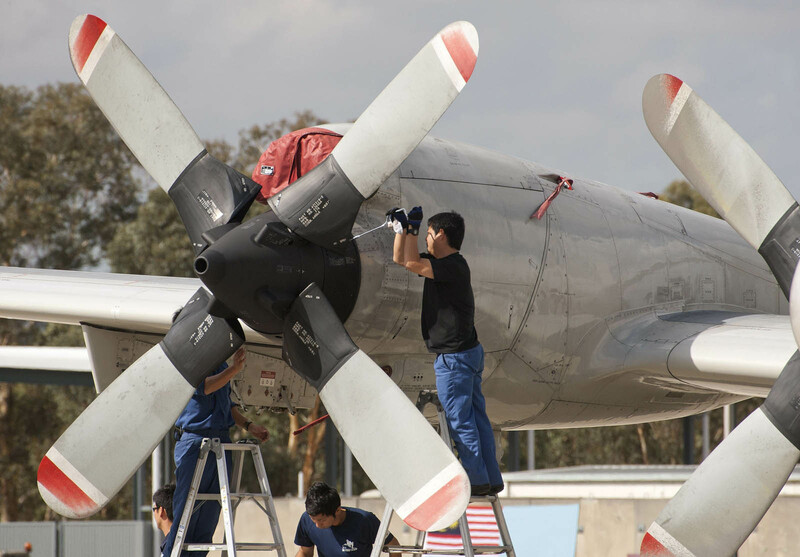 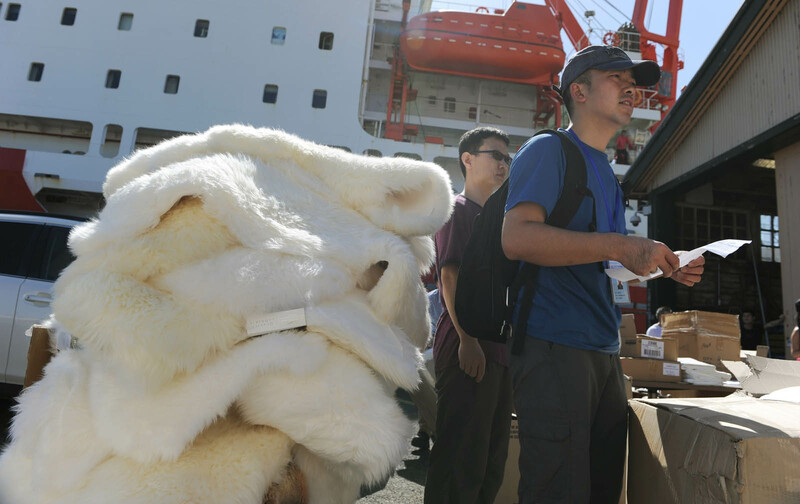 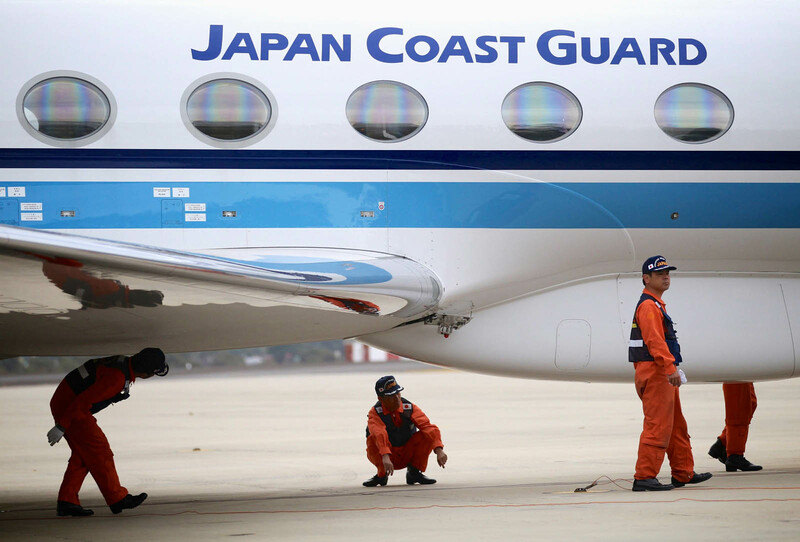 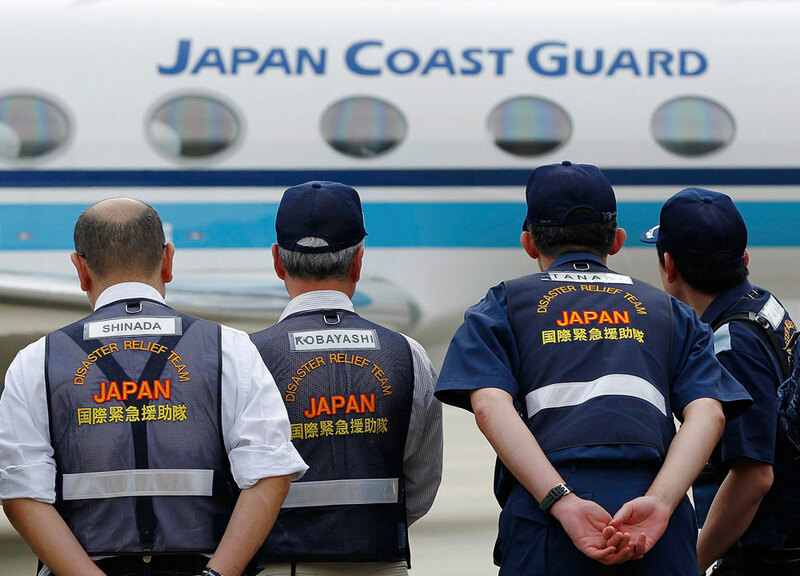 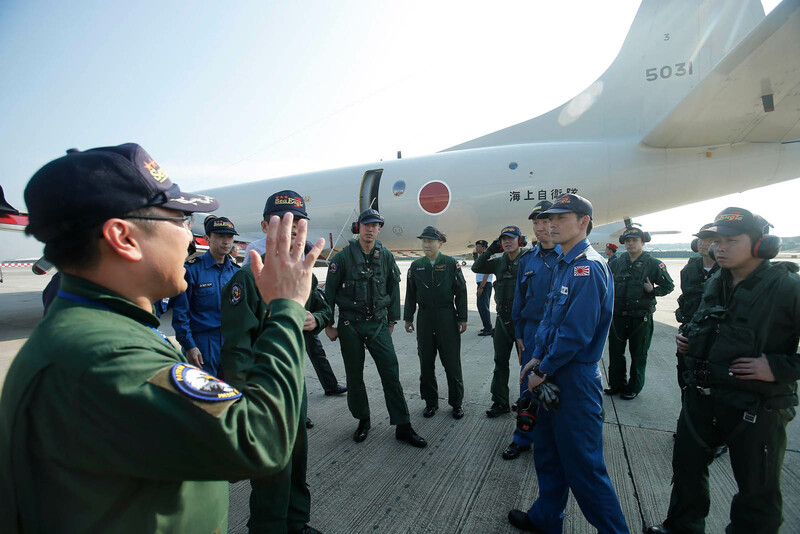 Joining the search are two more P-3s, from Japan, which arrived on Sunday. 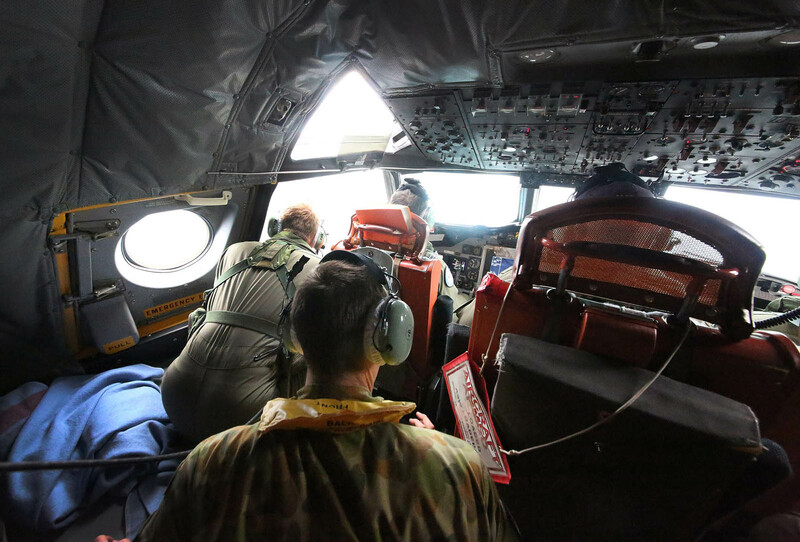 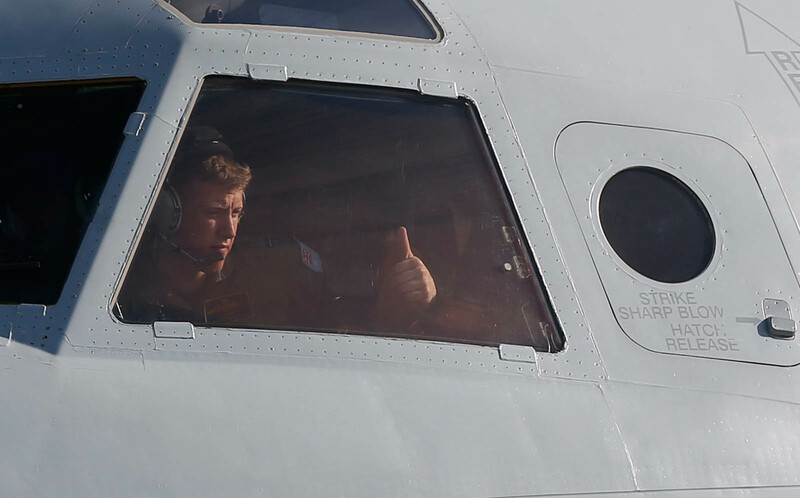 An Indian P-8 Poseidon and C-130 also joined the search-and-rescue effort on Monday in the top corner of the southern corridor, where Indonesia is coordinating the search. 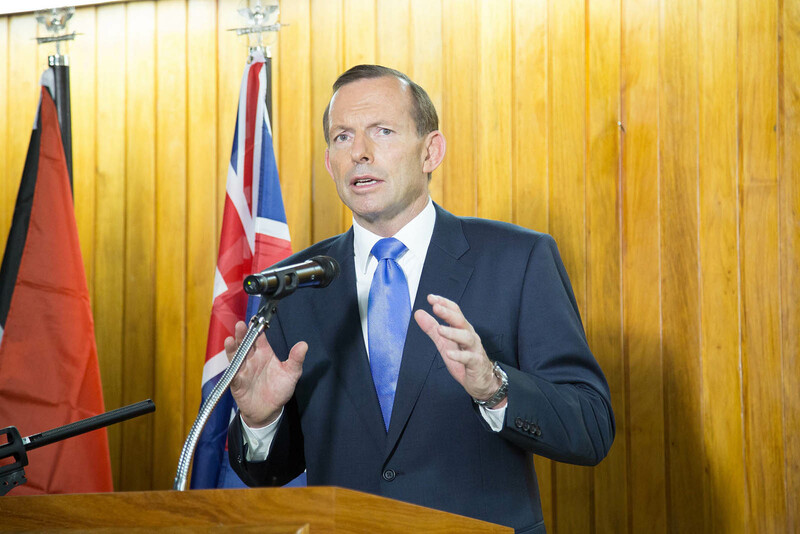 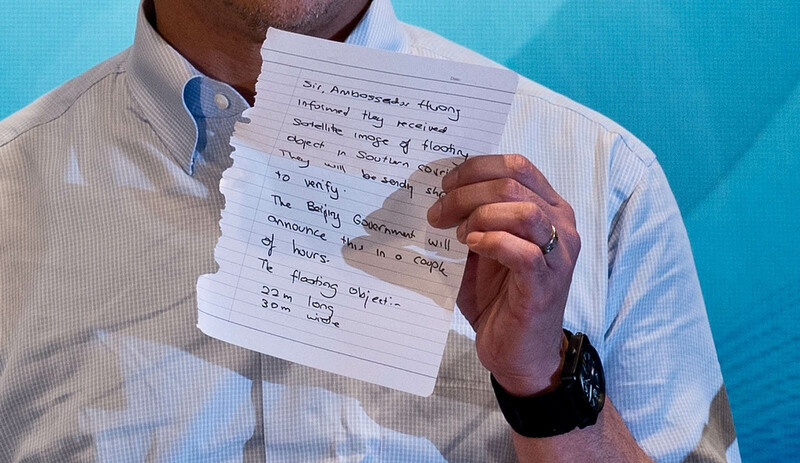 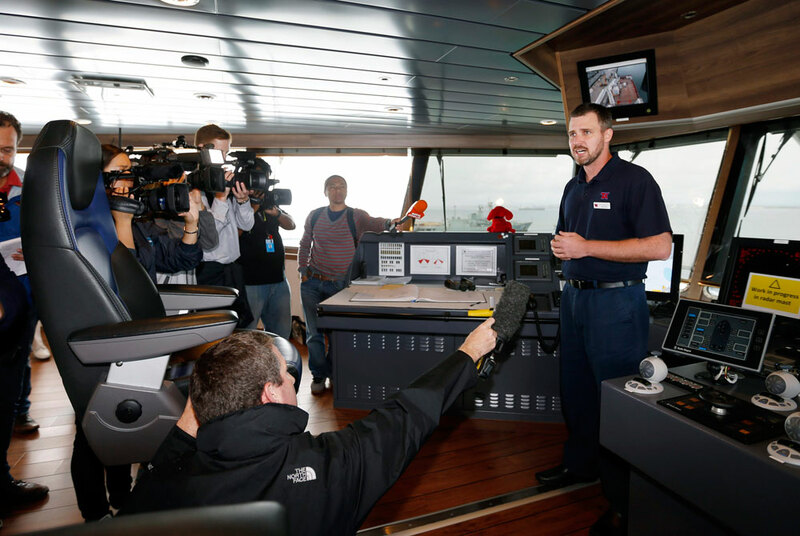 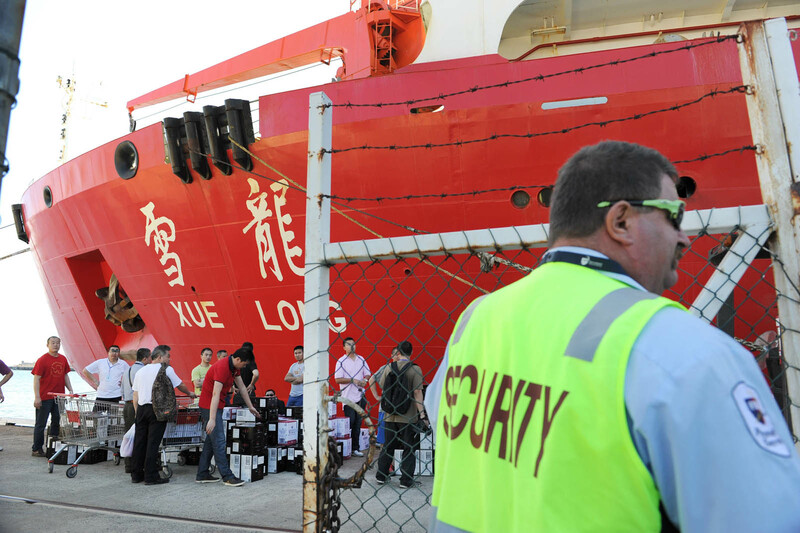 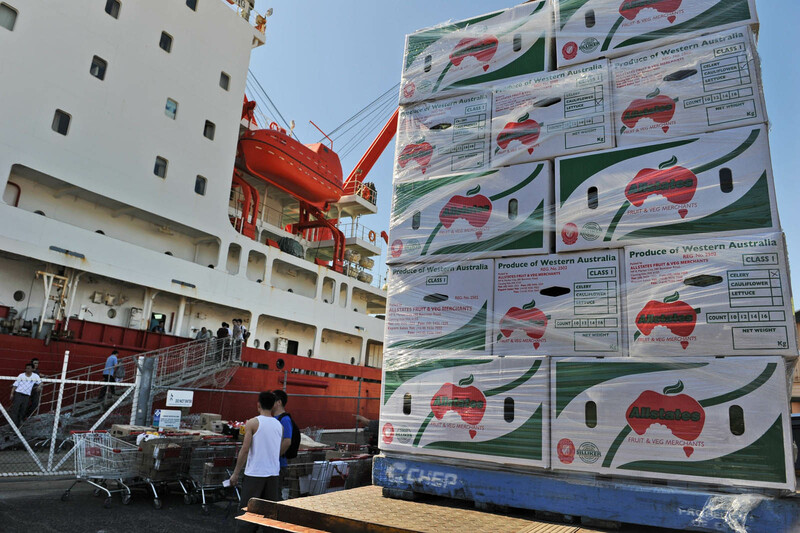 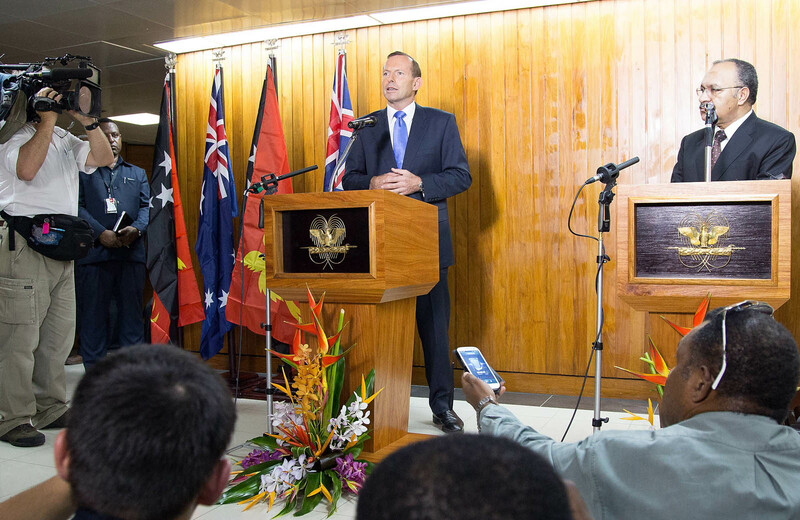 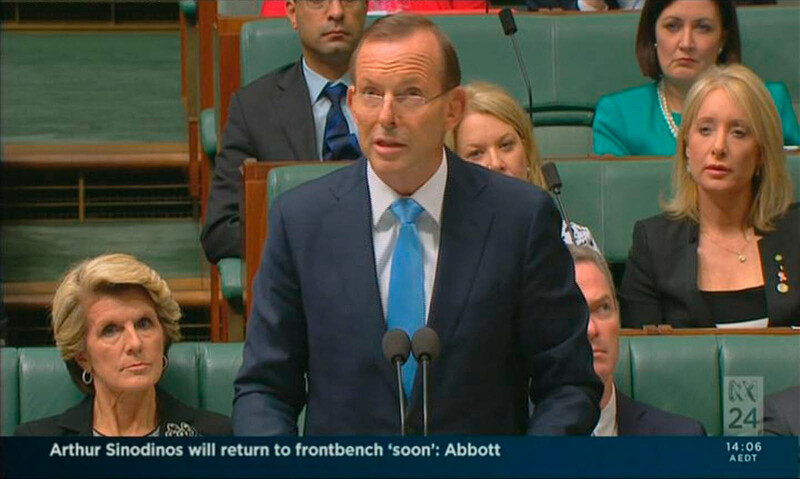 "The more aircraft we have, the more ships we have, the more confident we are of recovering whatever material is down there," Australian Prime Minister Tony Abbott told reporters in Port Moresby, Papua New Guinea, where he was on an official visit. 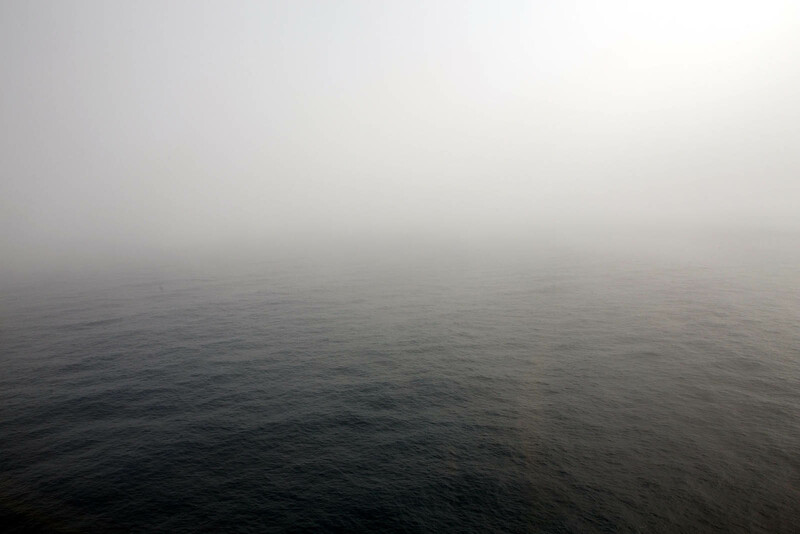 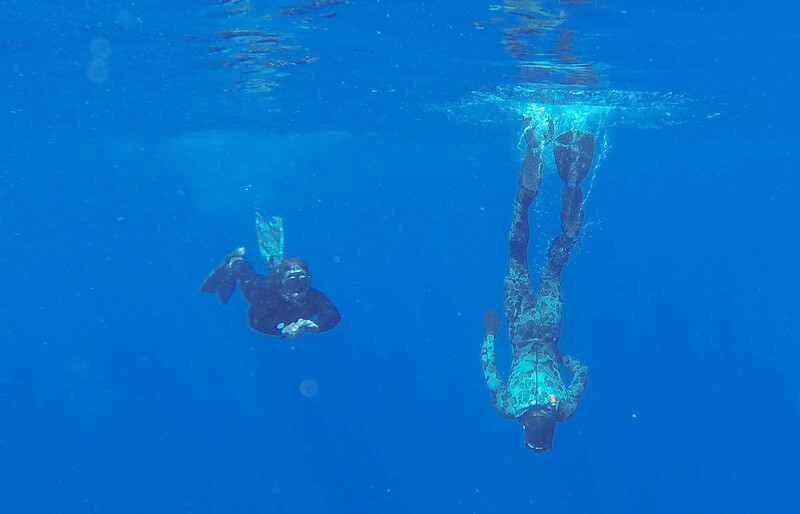 Amsa said the weather was not too good on Sunday, with sea fog and low cloud hindering visibility. 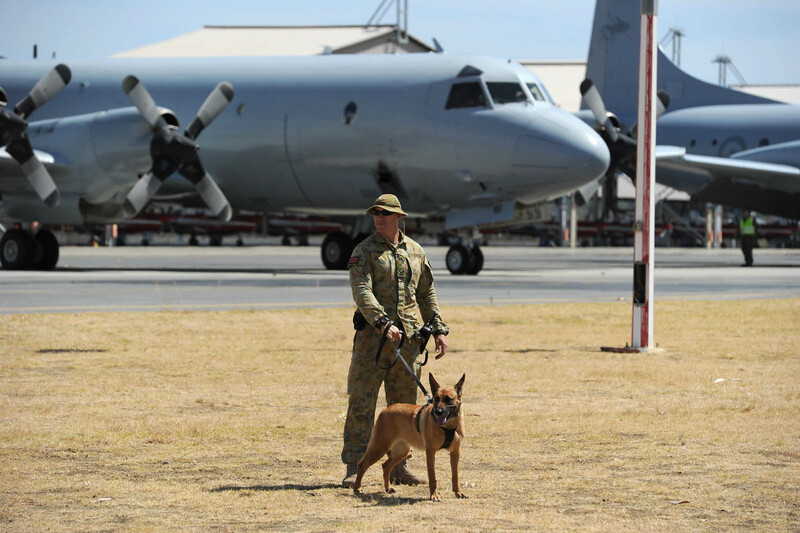 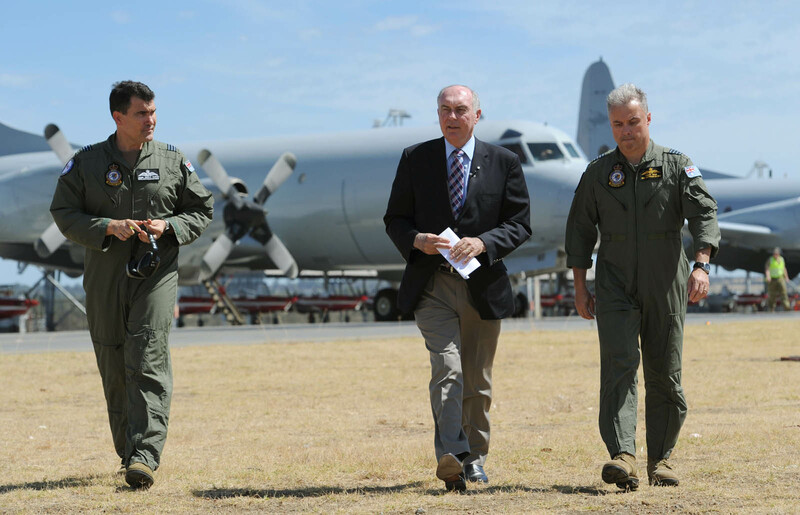 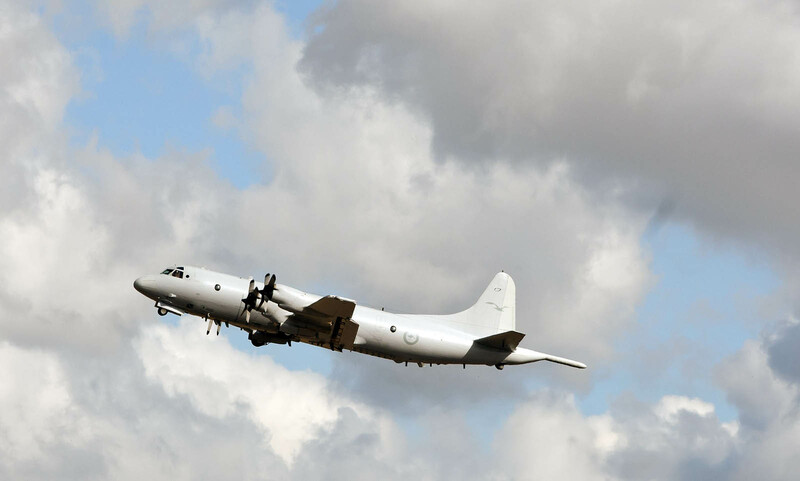 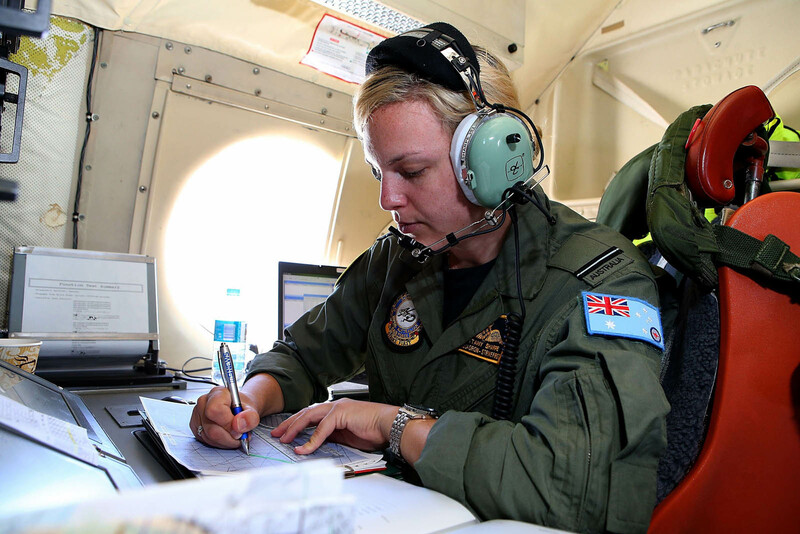 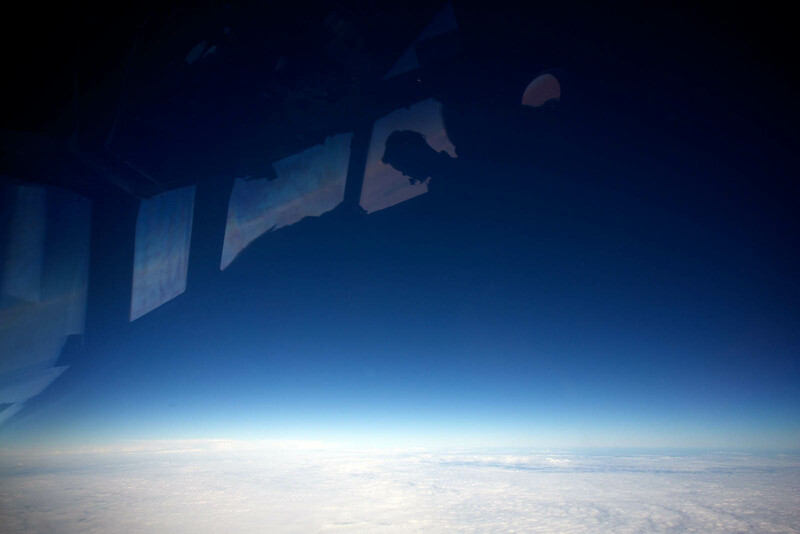 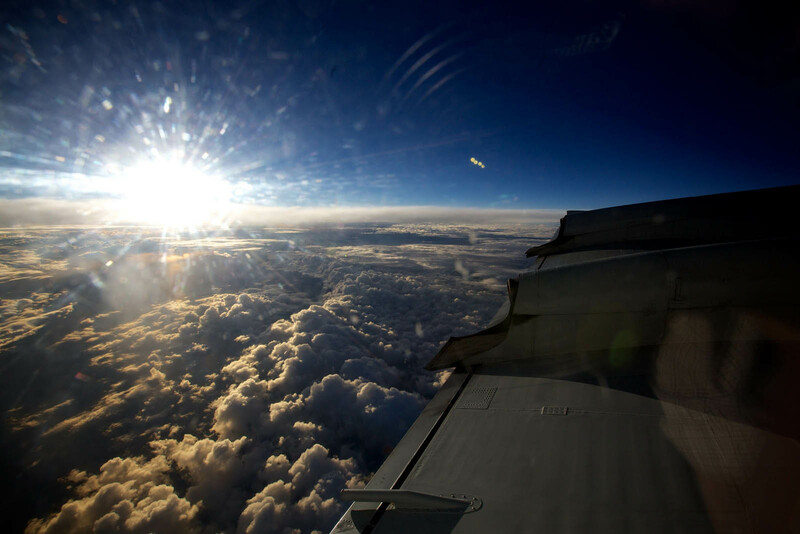 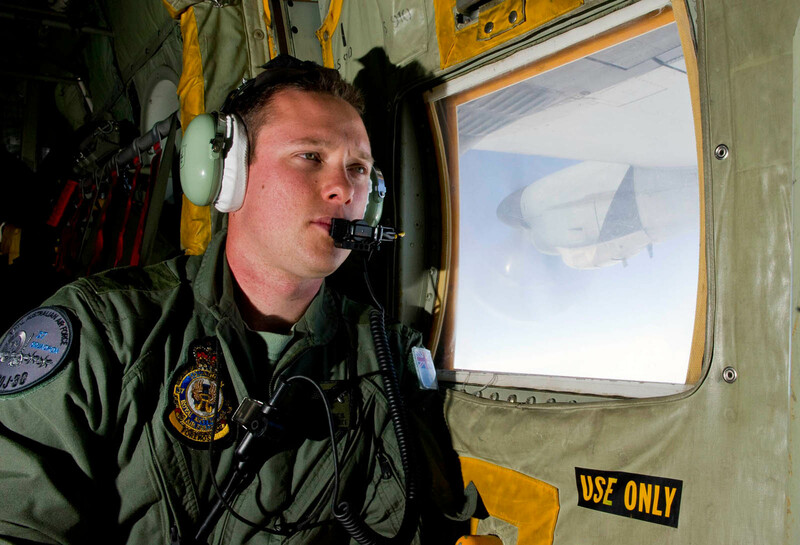 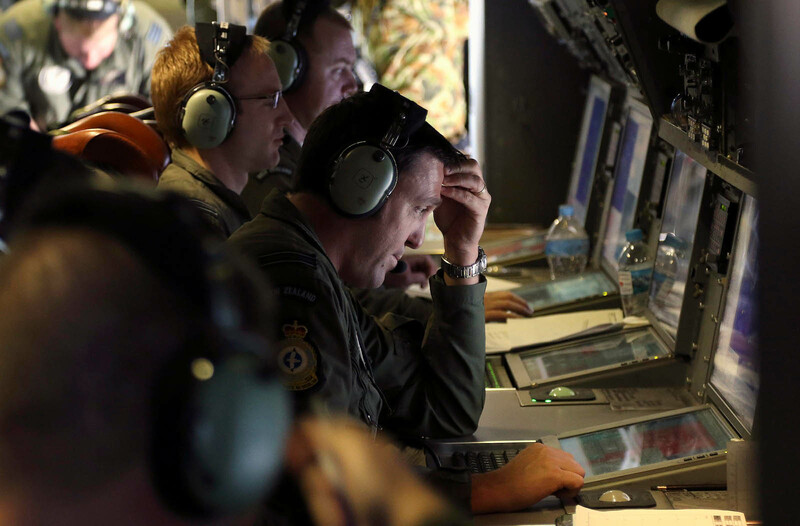 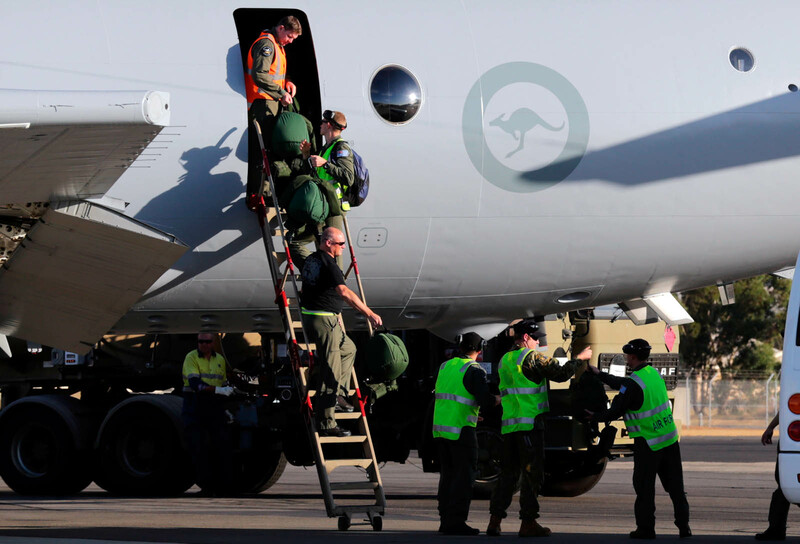 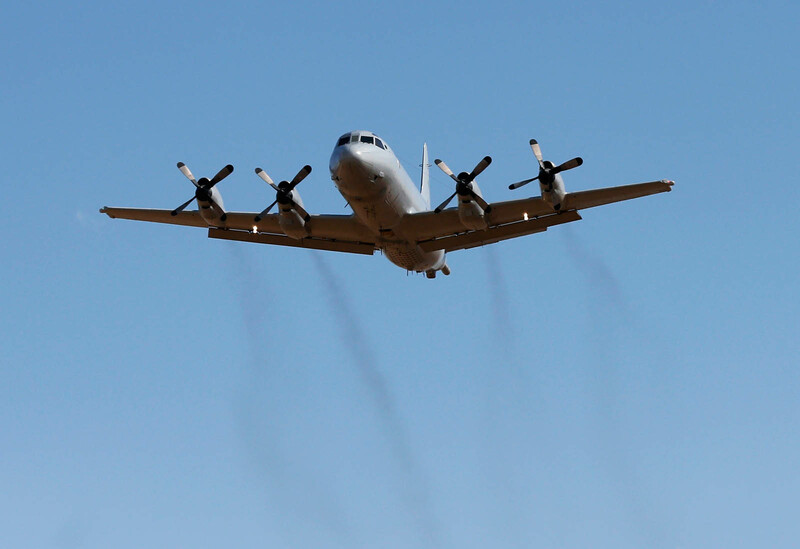 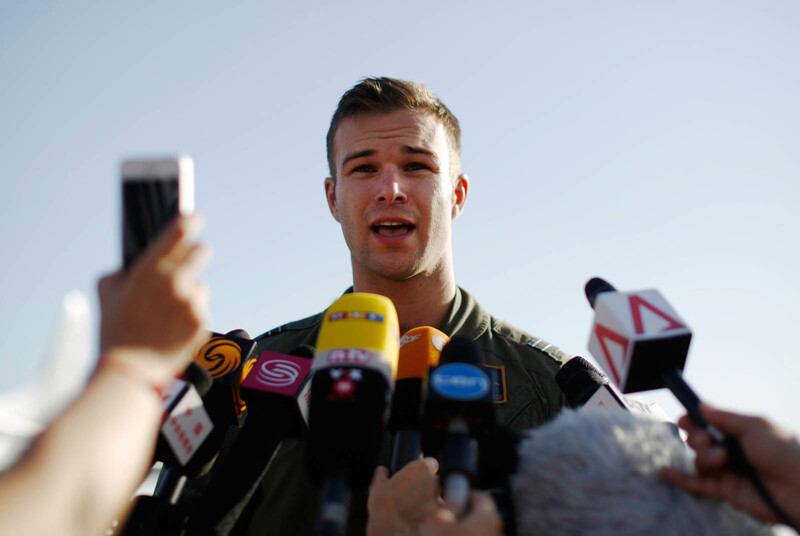 "There was cloud down to the surface, and at times, we were completely enclosed in cloud right down to our minimum operating altitude," Royal Australian Air Force P-3 pilot Russell Adams told reporters. 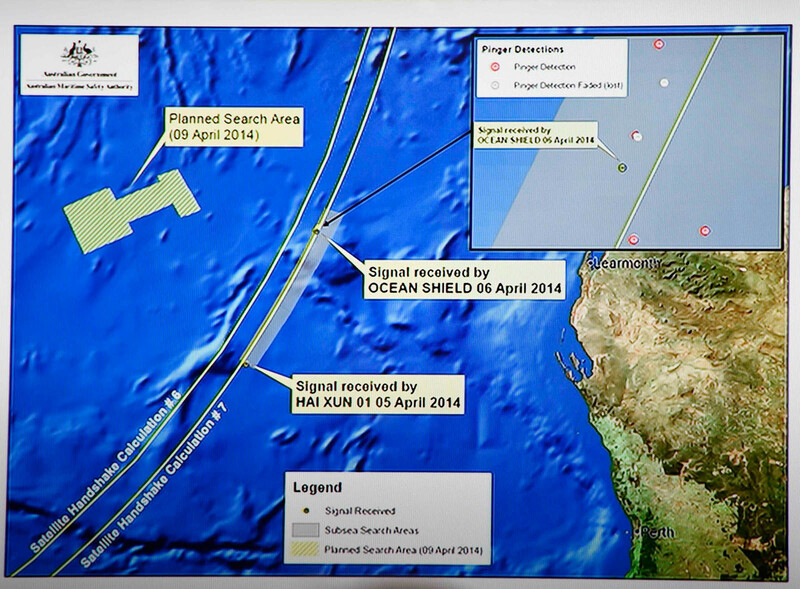 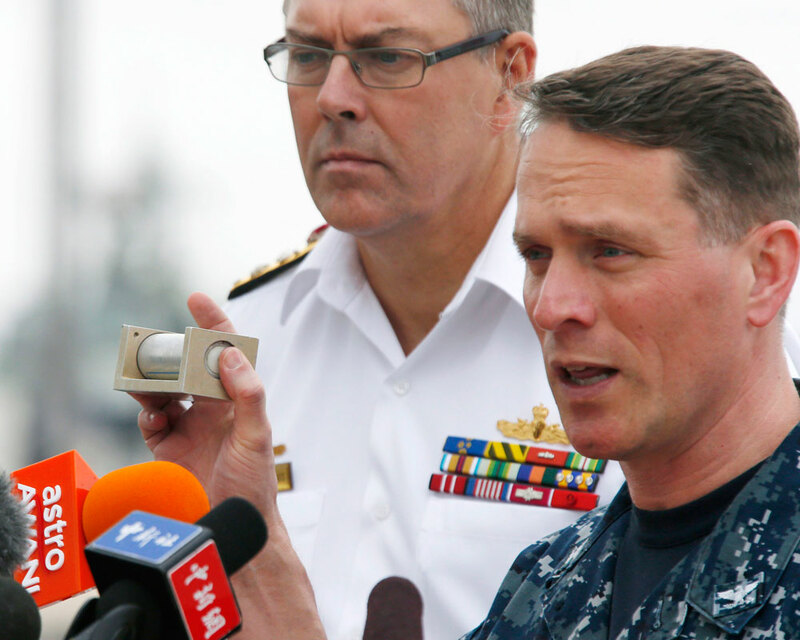 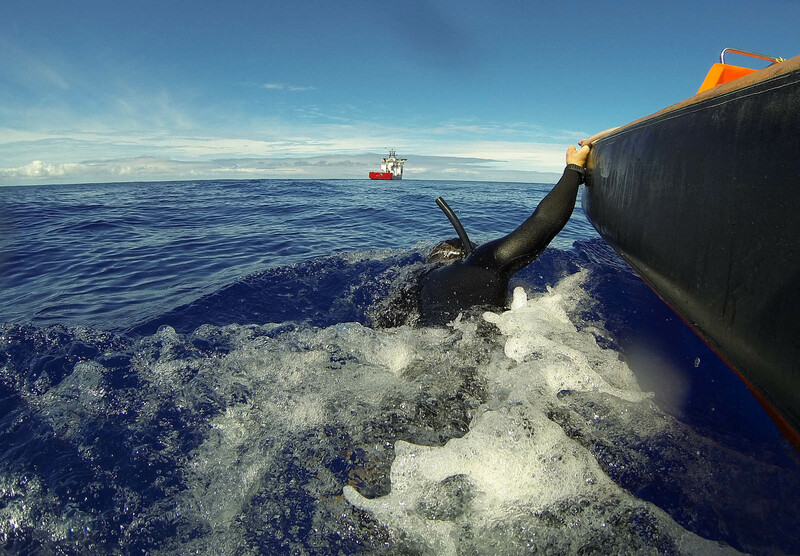 Mr Barton said the biggest challenge of this search came from "its remoteness from anywhere". 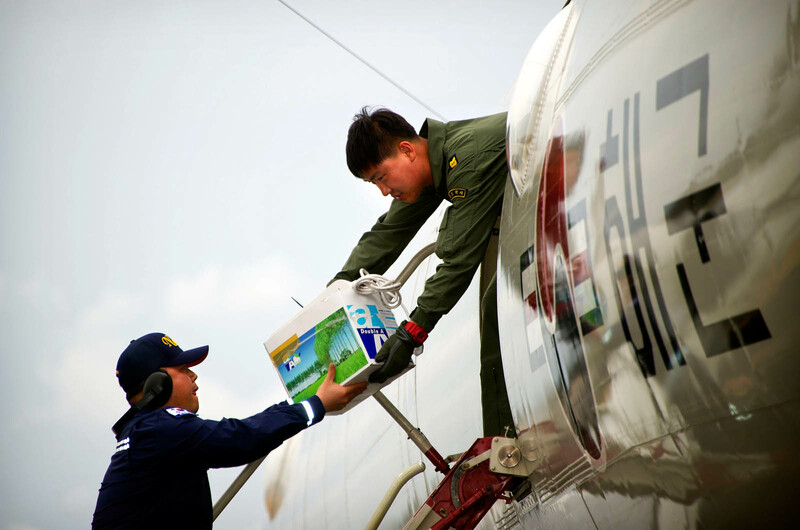 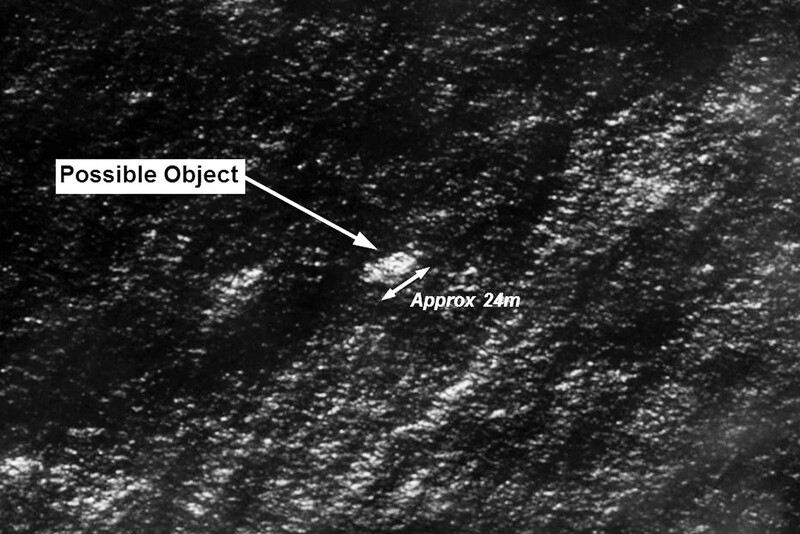 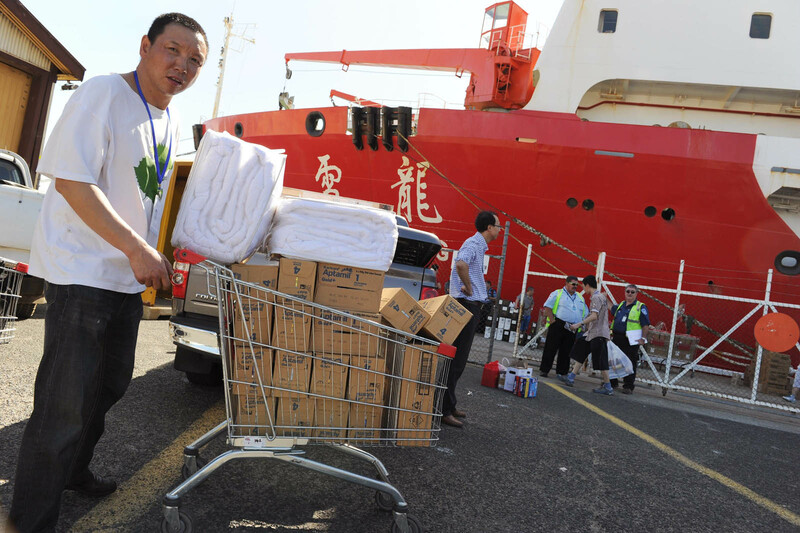 The wooden pallet spotted on Sunday by an aircraft was among a number of small objects spread over 5km, he added. 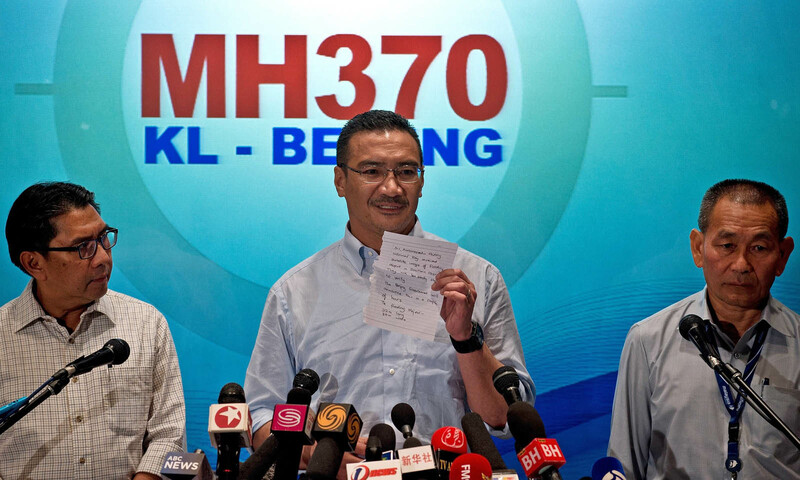 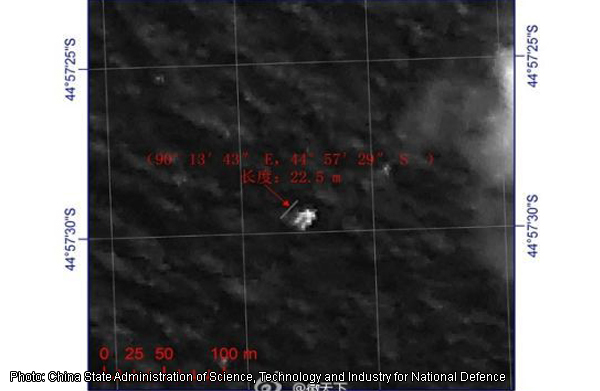 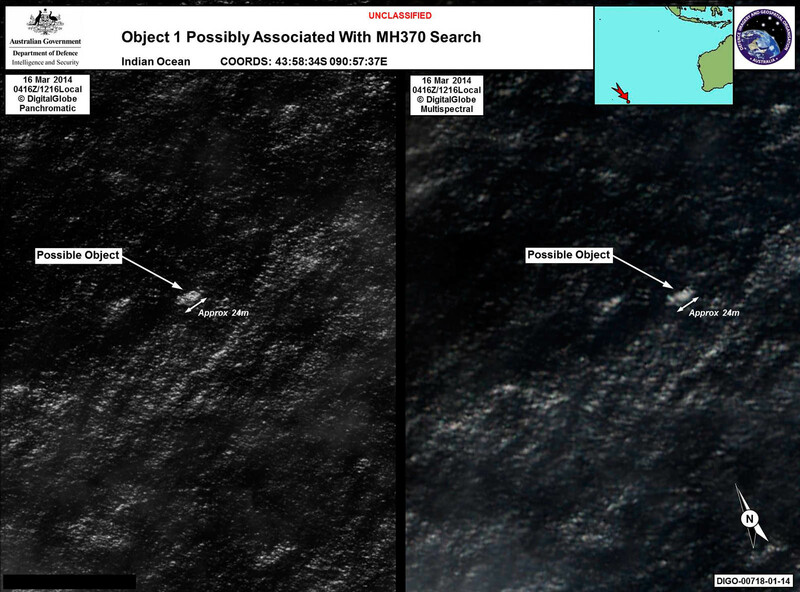 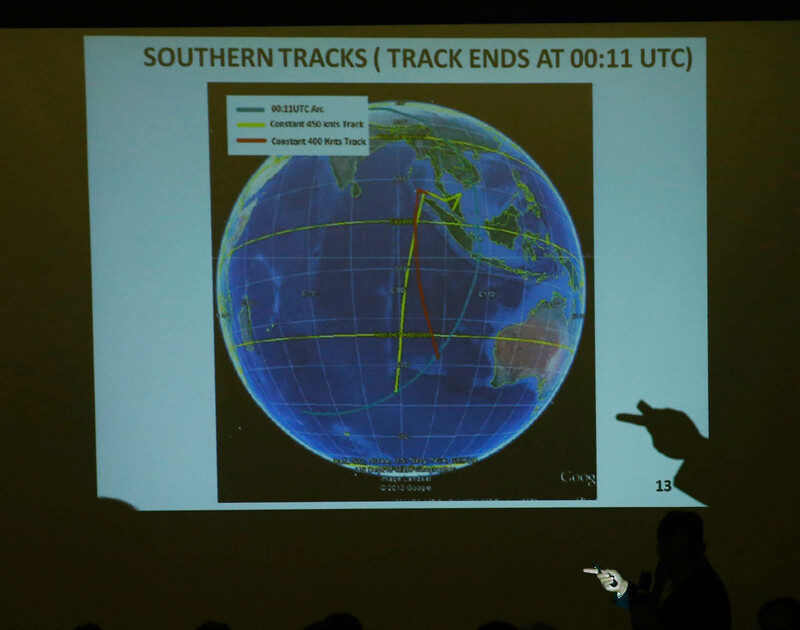 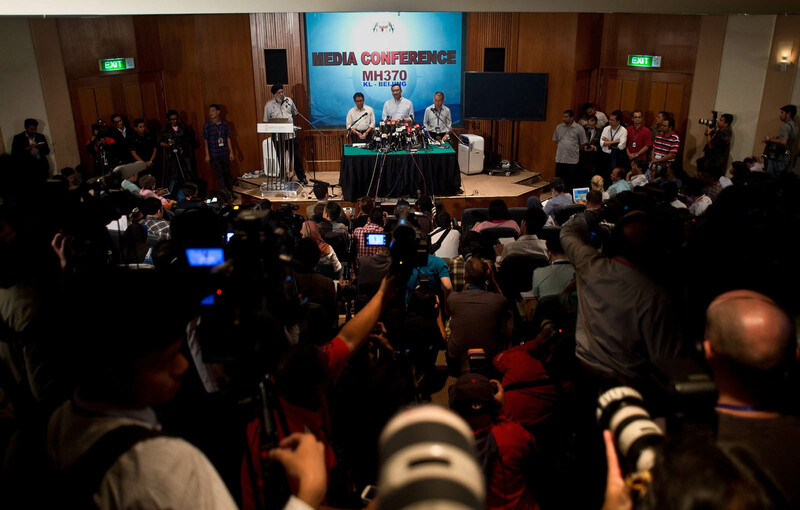 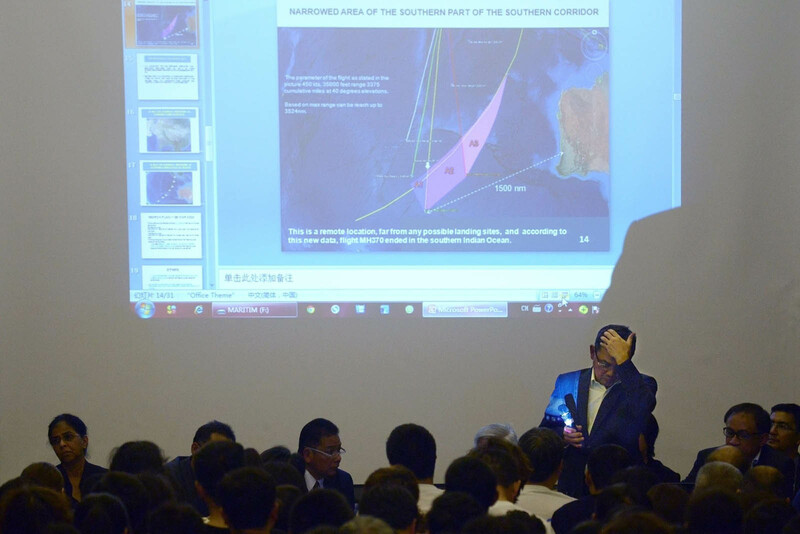 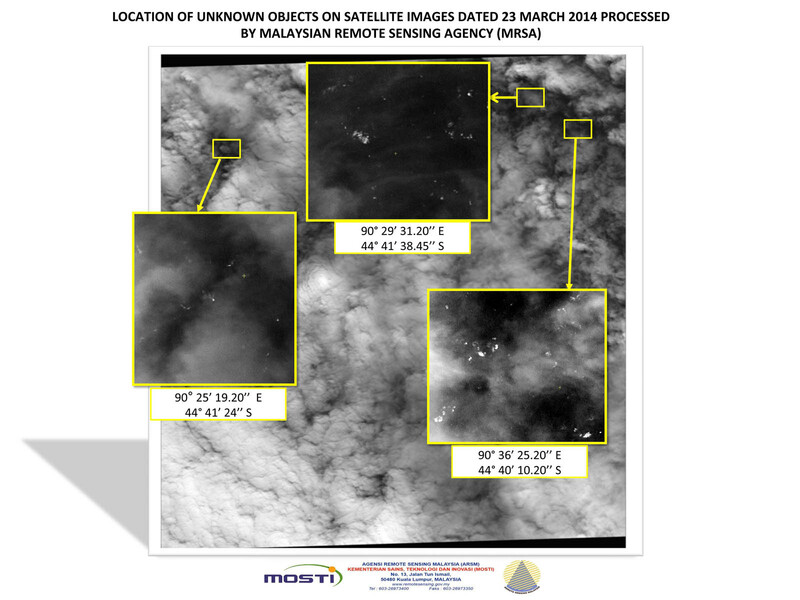 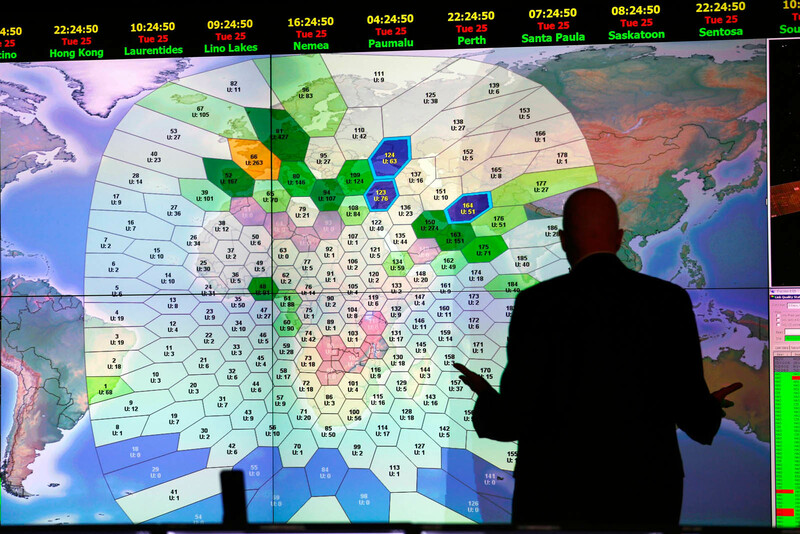 Meanwhile, Malaysia continued to investigate other angles in the mystery of the missing airliner. 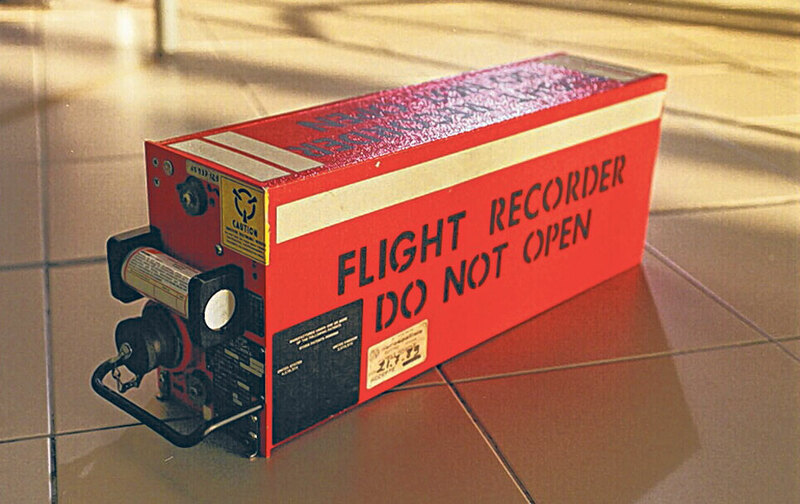 According to Bloomberg News, the United States Federal Bureau of Investigation joined the probe as the Malaysian authorities sought to retrieve deleted data on the home computer flight simulator belonging to the jet's captain. 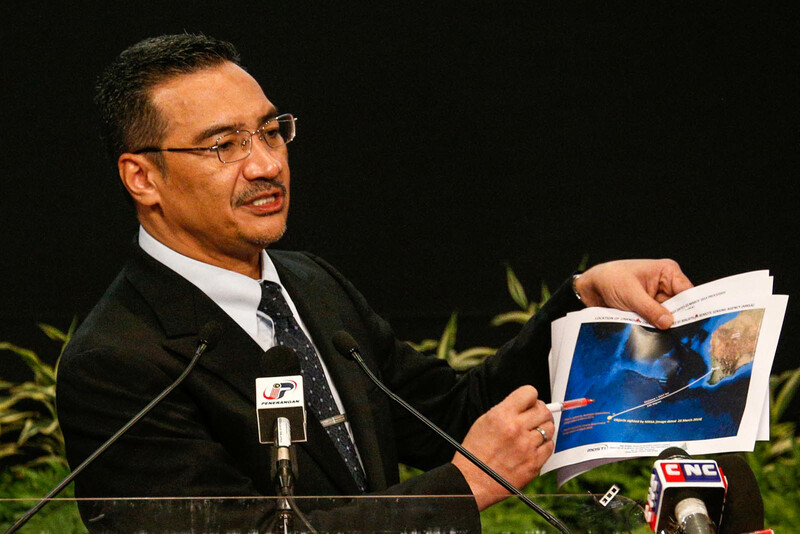 Malaysia's Acting Transport Minister Hishammuddin Hussein has said that the simulator has not produced any clear leads yet.